If it’s not over in opera until the fat lady sings, it’s not over in art attributions until the paint dries and the provenance settles. 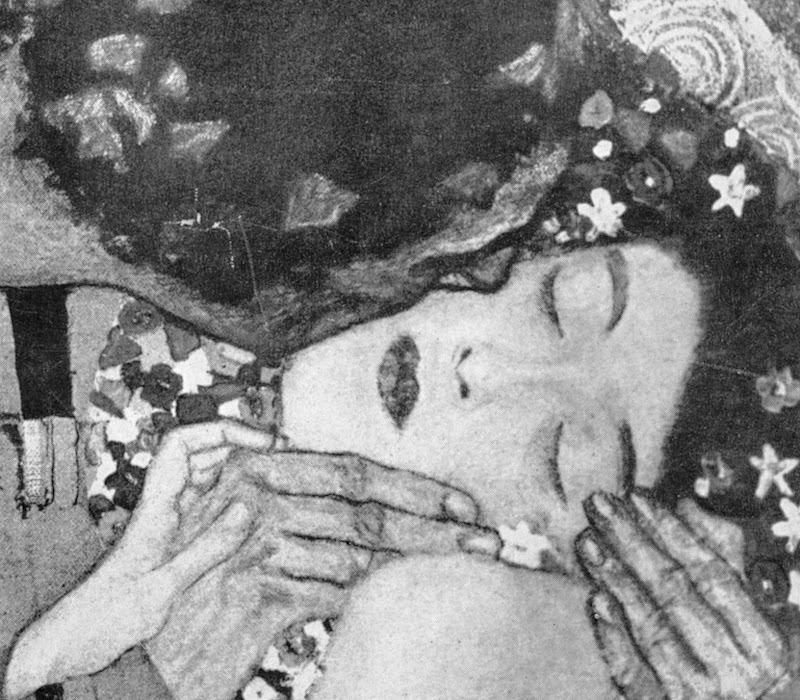 In art historical disputes over the origins (provenances) or conditions (restorations) of art, the weight of academic study and curatorial politics has assumed a greater importance than the dwindling creative/technical expertise of living artists. 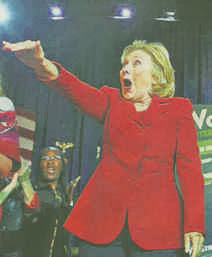 That this imbalanced dynamic is culturally destabilising, can perfectly be seen in the Leonardo Salvator Mundi Saga. 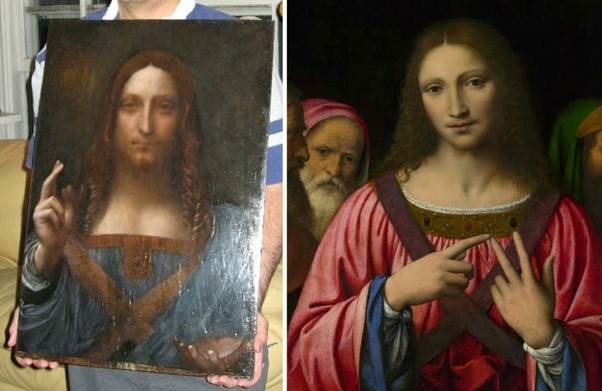 Following a scholar’s recent re-attribution of the Louvre Abu Dhabi Salvator Mundi to Leonardo’s follower, Bernardino Luini, dedicated supporters of the $450million painting are re-writing its provenance in the wake of a second scholar’s newly discovered documents. 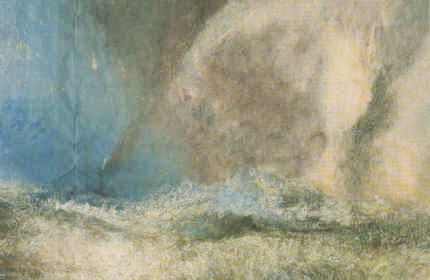 The painting itself has not been seen since it was sold at Christie’s, New York, on 15 November 2017 and it is not clear when it might be seen again – the Louvre Abu Dhabi indefinitely postponed its planned launch of the painting a day ahead of a visit by the French Foreign Minister, Jean-Yves Le Drian, to mark the announcement of the museum’s programme of events for the next year. Above, Fig. 1: Part of the Louvre Abu Dhabi Salvator Mundi painting (as shown on television) when it arrived in 2005 (still sticky from a previous restoration) at the New York studio of the restorer Dianne Dwyer Modestini. Above, Fig. 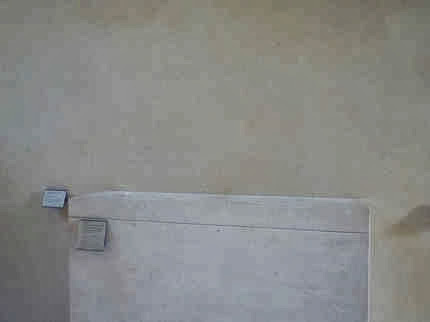 2: Left, the screen grab of the 2005 state; centre, the picture as exhibited as an autograph Leonardo painting in 2011-12 at the National Gallery ; right, the picture as sold at Christie’s, New York, in November 2017 after further and recent restoration repainting. Above, Fig. 3: Left, the head as in 2011-12 when at the National Gallery; right, the head in 2017 when sold at Christie’s, New York. Above, Fig. 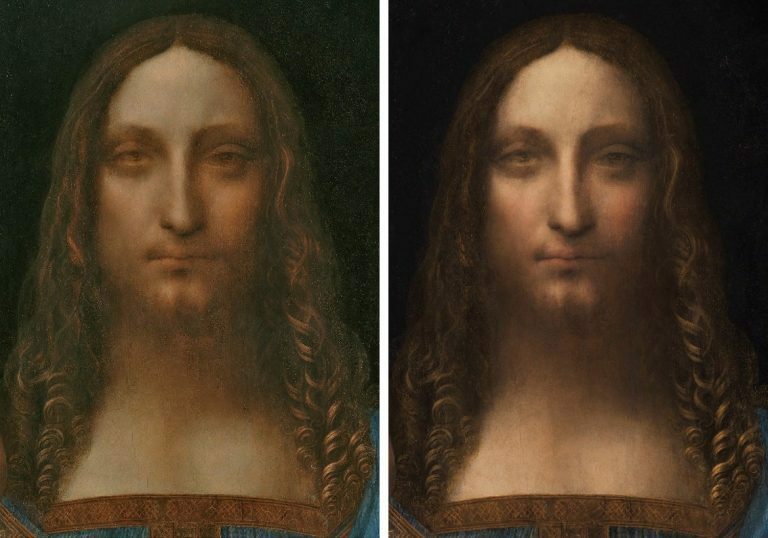 4: Left, the face as in 2011-12 at the National Gallery; right, the face as sold st Christie’s, New York, in 2017. Above, Fig. 5: Top, the eyes after cleaning but before any repainting; left, the face, as in 2011-12; right, the face, as in 2017. Above, Fig. 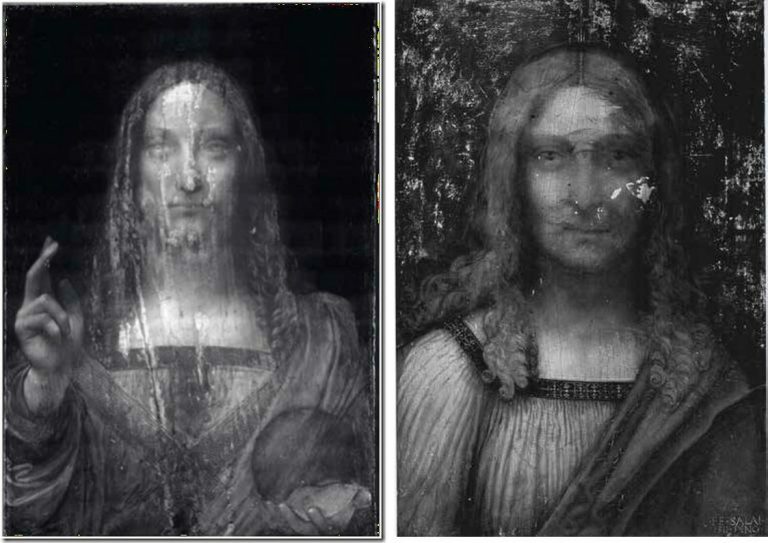 6: Far left, the face, as in 2005; left, the face as 2007 after the panel had been repaired and cleaned; centre, the painting in 2008 when taken to London for a private viewing at the National Gallery; right, the face as exhibited at the National Gallery in 2011-12; far right, the face as when sold at Christie’s, New York, in 2017. Sir Charles Herbert Sheffield, 1st Bt. (c. 1706-1774); John Prestage, London, 24 February 1763, lot 53, as ‘L. Da. Vinci A head of our Saviour’ (£2.10). Sir Francis [Ferdinand Maurice] Cook, 4th Bt. 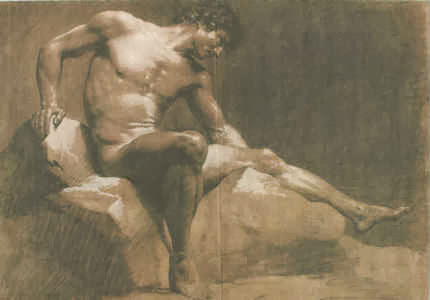 (1907-1978); his sale, Sotheby’s, London, 25 June 1958, lot 40, as ‘Boltraffio’ (£45 to Kuntz). Private sale, Sotheby’s, New York. “Thus, from a claimed execution either before or after 1500 (the supporters are divided on a possible position within Leonardo’s oeuvre) it is said to have passed through four centuries via a ‘(Possibly) Commissioned’; ‘Possibly by descent’; ‘by whom possibly brought to England’; ‘probably by inheritance’; ‘from which probably removed’; ‘and probably by descent’ to 1900. It then took a further 111 years for this work to gain accreditation as a Leonardo when it was included in the National Gallery’s special exhibition Leonardo, Painter at the Court of Milan after a long and highly problematic restoration.” Emphases added. “How can you extract a ‘would therefore be’ from a ‘could’, a ‘most likely’, and a ‘probably’? In lieu of a single hard shiny fact, we are offered a forest of fancies, maybes, perhaps’s and scholarly borrowings.” Emphases added. When Luke Syson claimed that the now-Louvre Abu Dhabi Salvator Mundi had “therefore been” one of the French commissions by King Louis XII and his consort mentioned by Fra Pietro da Novellara he risked readers confounding his “therefore” with a proof rather than a contention. In a footnote, Syson cites paintings (of only recent provenances) that “must also” have derived from this Royal commission. One, the Young Christ by Marco d’Oggiono in the Galleria Borghese, Rome, is discussed below at Fig. 14. On the precise testimony of Fra Pietro da Novellara, see Jacques Franck, below. Certain discoveries in Jeremy Wood’s Walpole Society article “Buying and Selling Art in Venice, London and Antwerp… c.1637-52” have thrown the earlier Salvator Mundi provenances of the National Gallery and Christie’s, New York, into question. Because so much credence is (rightly) attached to documentation, the sudden discovery of a parallel never-seen but documented ghost painting has undermined official accounts of the Louvre Abu Dhabi picture’s history. Within a single country at the same historical moment there are now two records of a Leonardo painting in the Collection of Charles I and two records of a Leonardo Salvator Mundi painting in the (nearby) Hamilton collection. With the Charles I collection, the first record is in the 1649 inventory of Charles I’s possessions drawn up in the year of his death. It is not of a Christ as Salvator Mundi but was recorded simply as ‘A peece of Christ done by Leonardo’ when sold in 1651. It tells us that Charles I had had a painting of that description but not when or how it had been acquired. The second and later record of 1666, as disclosed in Martin Kemp’s new book, is a work in the numbered list of the “King’s Closet” in Whitehall and “featured as number 311: ‘Leonard De Vince O.r Savio.r w.th a gloabe in one hand & holding up y.e other’.” Today, thanks to Wood’s researches those two records are balanced by the discovery that a ‘Christ with a globe in his hande done by Leonardus Vinsett’ was in the Chelsea home of James, 3rd Marquis, later 1st Duke of Hamilton, between 1638 and 1641. A second record further testifies to a Salvator Mundi in the Hamilton collection in 1643, as is discussed below. The response of the supporters of the Abu Dhabi painting to Jeremy Wood’s disclosure of twin records of a rival candidate painting of a Christ with a globe in the Hamilton collection is concerning. Margaret Dalivalle, a former Martin Kemp student who has been conducting provenance research for some years on the Abu Dhabi picture, seems to have been the first properly to spot the potentially game-changing significance of Wood’s research findings. Alison Cole, the editor of the Art Newspaper, reported on 30 August (- “Leonardo’s Salvator Mundi: expert uncovers ‘exciting’ new evidence”) that Dalivalle finds Wood’s discovery of the Hamilton picture “exciting” and says “I immediately recognised the significance of one item hanging in the Lower Gallery: ‘Christ: with a globe in his hande done by Leonardus Vinsett’”. Thus, the Hamilton picture would now find itself located in the royal collection as an earlier incarnation of what is held to be the Abu Dhabi Leonardo picture. In the absence of any visual records such a switch might be thought plausible on circumstantial grounds but the suggestion is made against the testimony of another Wood document that makes clear that the painting could not have been purloined by Charles I between 1638 and 1641. Pace Dalivalle’s reading of the earlier document, Wood discloses that in 1643 Hamilton’s collection was crated in order to be sent to Scotland. 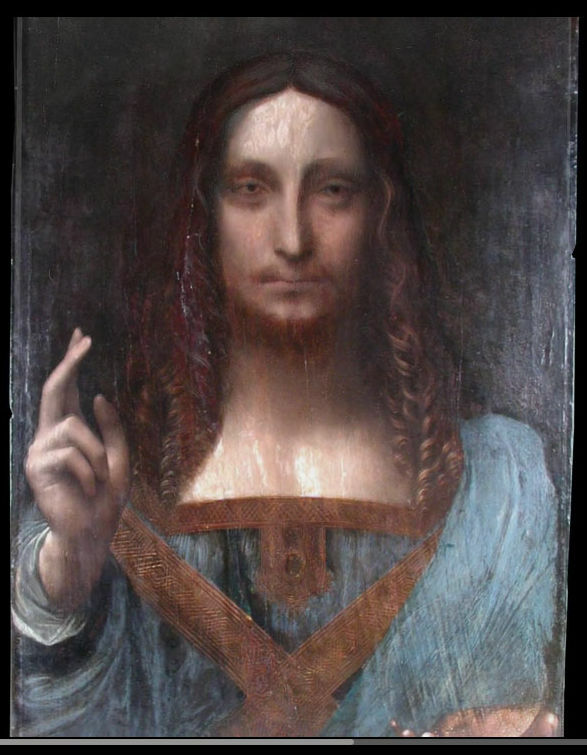 The move was blocked in Parliament but one case contained a “Christ Holding up his two fingers.” A Christ with two fingers held up in blessing testifies no less to a Christ as Salvator Mundi than does a Christ with a globe. That the picture was in Hamilton’s possession as late as 1643 makes a subsequent transfer to the royal collection greatly less likely: the following year the Queen (Henrietta Maria) and the copyist Wenceslaus Hollar both fled to Antwerp. 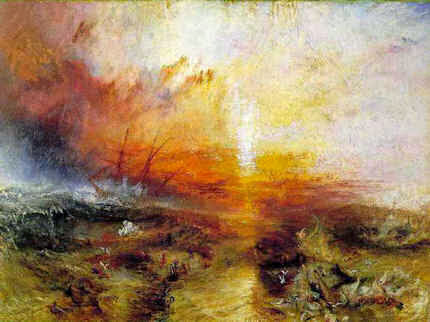 Was Charles I seizing paintings at that turbulent moment – even assuming that the Hamilton pictures had been un-crated? In any event, we have a doubly confirmed Hamilton Salvator Mundi in 1643 – just six years before the first record of a Leonardo in the Charles I collection. Either two attributed Leonardos ran in parallel or the Hamilton picture was snatched for the royal collection shortly before the execution of Charles I. Because there is no record of a switch between 1643 and 1649 does not, of course, mean that it could not have taken place but much hangs on the question. That would be to say: the twice-recorded Hamilton Salvator Mundi then stayed in the collection after 1643 until it was sent to Antwerp to be sold in 1649, the year of Charles I’s execution. This possibility is being dismissed: Cole further reports that Dalivalle places this hypothesis among what she terms the “red herrings” to be addressed in her contribution to the long-forthcoming (now Oxford University Press book) Leonardo’s Salvator Mundi and the Collecting of Leonardo in the Stuart Courts that she is co-authoring with Robert Simon and Martin Kemp. That dismissal is premature and question-begging. It also offers a degree of protection to the now-challenged claim that the Abu Dhabi picture had been copied in 1650 by Wenceslaus Hollar – see below. As seen, it has not been established that the Hamilton Salvator Mundi had entered the royal collection at all. The previously suggested arrival of the painting at court with Henrietta Maria in 1625 had comprised the lynchpin of the Abu Dhabi painting’s 2011 and 2017 provenances – those supposed initial double royal connections were flaunted in Christie’s 2017 global marketing pitch (see – The Leonardo Salvator Mundi Saga: Three Developments). The Greenwich record was dated 1666 when Henrieta Maria had fled England in 1644. Whichever picture was then present, it could not have been copied by Hollar in his 1650 etching because he and Henrietta Maria were then in Antwerp (and perhaps later, on one account, in France), and for reasons given it was unlikely to have been the Abu Dhabi picture. 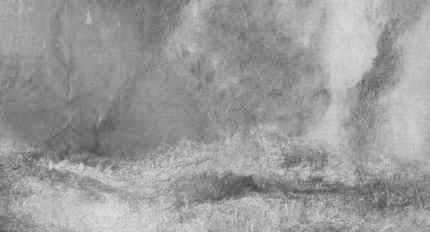 In truth, we have no idea which of several possible paintings was recorded by Hollar. 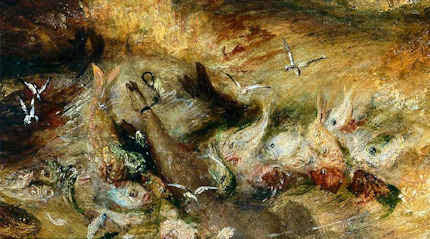 The Cook collection picture’s provenance ran into the ground in 1958 when sold by Sotheby’s for £45. 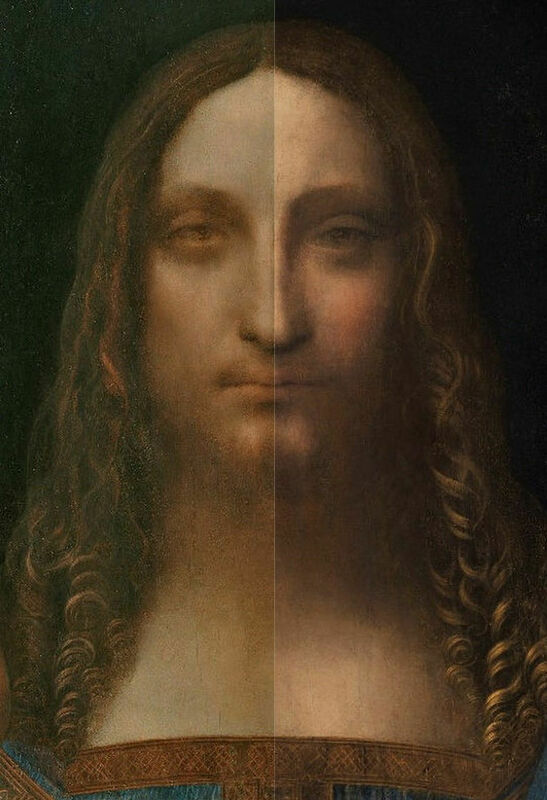 Between 1900 and 1958 no one thought the New York, now Abu Dhabi Salvator Mundi to be a Leonardo. Christie’s 2017 sale provenance ended: “Kuntz, Private Collection USA”. Kemp suggests that this might have been a punning play on the German word for art, and Sotheby’s have no additional information on Kuntz. That trail should not be given up lightly. Wiki has an entry on a US artist Roger Edward Kuntz, a talented painter who wavered between abstraction and representation and died in 1975. In the early 50s he and his wife travelled for four months in Europe so that he could visit museums. They had a daughter in 1951. If Kuntz, an artist with a “pensive, thoughtfully naturalistic sensibility” made another European trip in 1958, might he have had £45 (at that date about a month’s wage for an unskilled worker in Britain) to spare on an old Italian painting? Roger Kuntz died in 1975 but was succeeded by his wife and daughter. If not that particular Kuntz family, what of others in the United States? 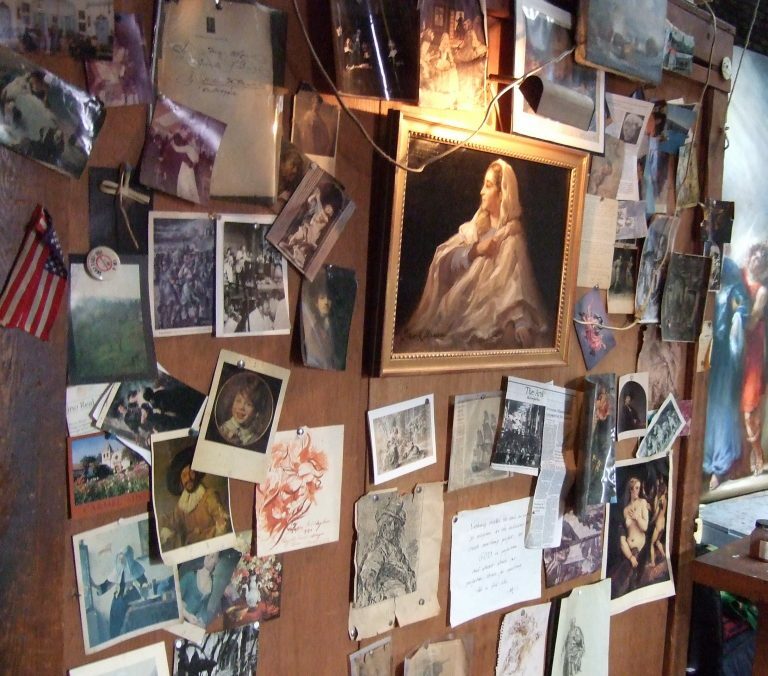 As previously reported, our colleague Alexa Tzarnas has identified a Kuntz family in Louisiana who used to be avid collectors of paintings, antiques and historical documents. Rosemund E. and Emile Kuntz had two sons, one of whom donated a majority of their collection to Tulane University in New Orleans. 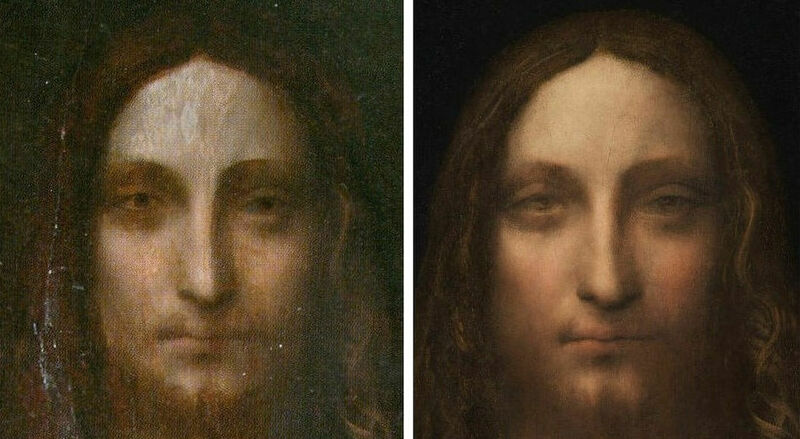 Given that we do not know the identity of the 2005 vendor or the venue of the sale and given the still sticky varnish then present on the New York/Abu Dhabi Salvator Mundi, it could be useful to establish the identity of the previous owner who might well have information on previous restorations and photo-records of the painting from 1958 onwards. “Hollar must have made a drawing of Leonardo’s painting while he was still in England, when it still belonged to the King and Queen. This drawing then formed the basis of the print, an image that had come to have additional associations for the Catholic Henrietta Maria.” Emphases added. 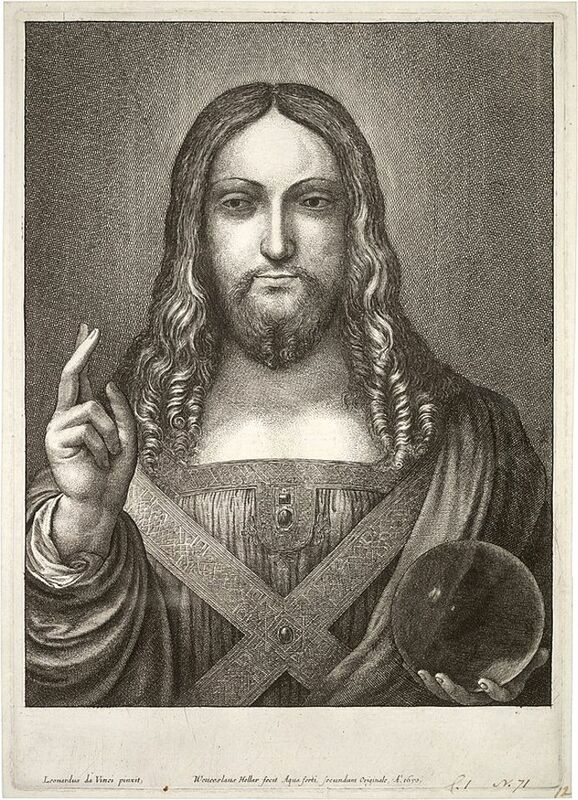 “Leonardo da Vinci painted the original from which Wenceslaus Hollar etched [this copy] in 1650 Anno Domini”. Before looking at the etching itself in relation to rival paintings with a view to formulating some “style criticisms”, there is a third candidate Salvator Mundi painting to be considered. That is the so-called “de Ganay Salvator Mundi” which painting was presented in 1978 and 1982 as the original Leonardo Salvator Mundi by the art historian Joanne Snow-Smith (with, it was posthumously stated, the endorsement of Ludwig Heydenreich). Its claims merit consideration if for no other reason than that aspects of Snow-Smith’s account have been incorporated in the Simon/Syson/Christie’s/Kemp accounts – and most especially her claim of French royal origins for the painting. Moreover, the de Ganay and the Abu Dhabi versions are the two Salvator Mundi paintings that offer the most credible “fits” with the 1650 image produced by the accomplished draughtsman/copyist Wenceslaus Hollar. As will be seen, neither version achieves a full match but they depart from the Hollar record in different ways. “There were along the course of the Loire convents of the Order…and making such a trip may well have been suggested to Henrietta Maria by…further impetus for a journey to Nantes would have been supplied by the fact that her mother, Marie de’ Medici, had in 1626 laid the cornerstone of the convent there. It is suggested that Henrietta Maria requested Hollar to accompany her in the role of court etcher. There is no question but that his sense of duty to the family he loved so well would have induced his acceptance. Whether they stayed in Nantes in the convent of the Visitation or of the Calvairiennes need not concern us. Suffice it to say that in either place she would have heard of the Salvator Mundi by Leonardo cloistered in the Clairician convent in that city…and it would certainly be understandable that she…would have wished Hollar to copy for her a painting in which the kindness and love of the ultimate justice were expressed with such strength, tenderness and pathos…” Emphases added. Even if we discount Snow-Smith’s imaginary journey, Hollar’s presence in France in 1650 is credible – his etchings were published in Paris. Given Hollar’s close connections with Henrietta there are thus two locations in which he might have etched the Salvator Mundi – Antwerp or Nantes. In Antwerp, he might conceivably, on Syson’s account, have made it from a drawing made in London six or more years earlier if a salvator Mundi had entered the royal collection before 1644, or from the Hamilton Salvator Mundi; or, in Nantes from the de Ganay Salvator Mundi. 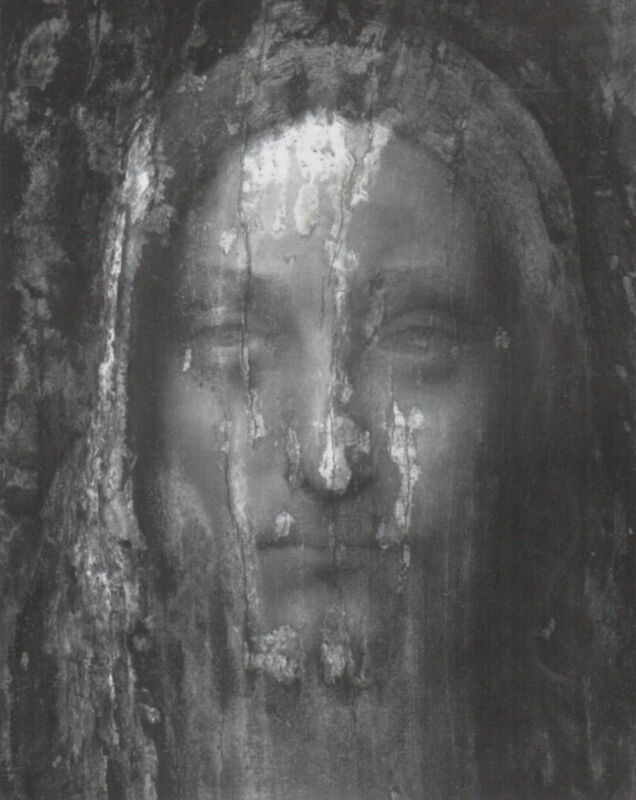 With the Abu Dhabi Leonardo attribution the etching’s testimony is double edged: there are, for sure, clear general correspondences – as there are with the de Ganay version – but Hollar’s 1650 recording of painting of a Christ as Salvator Mundi is different in significant stylistic respects from the Louvre Abu Dhabi picture. 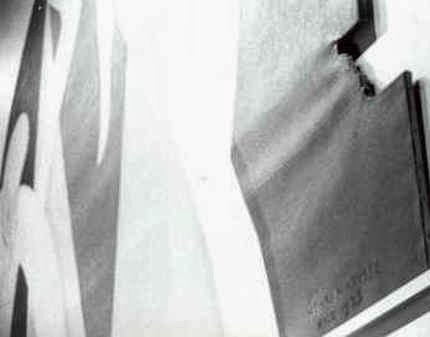 Greatly compounding the problem today of plausibly attaching rival documentary records and accounts to the sole etched copy, is the fact that the Abu Dhabi painting has itself borne rival appearances since it emerged in 2005 – and has existed in two distinct states in the last five years. As seen at Fig. 6 above, those appearances are: the painting as it was when it first appeared in 2005 still sticky from some previous treatment; as it was in 2007 after being cleaned and repaired; as it was in 2008 when part-restored and first taken to London for appraisal by a select group of Leonardo experts; as it was when further repainted and taken back to London in 2011 to be included in the National Gallery Leonardo exhibition; and, as it was when yet further restored by Christie’s ahead of the November 2017 sale. This shifting appearance poses an acute problem for supporters: with which state/version of the Abu Dhabi picture might the Hollar etching be considered to show a better correspondence? Is it that seen when exhibited at the National Gallery in 2011-12, as below left at Fig. 8? Or is it that seen at Christie’s, New York, in 2017, as below right at Fig. 8? If the latter, had Christie’s requested the original restorer to work further on the painting to that end? In the double comparison above we see the destructive and reconstructive faces of picture restoration. At the top, pictoral values are depleted by cleaning (“abraded” is the commonly encountered official euphemism). 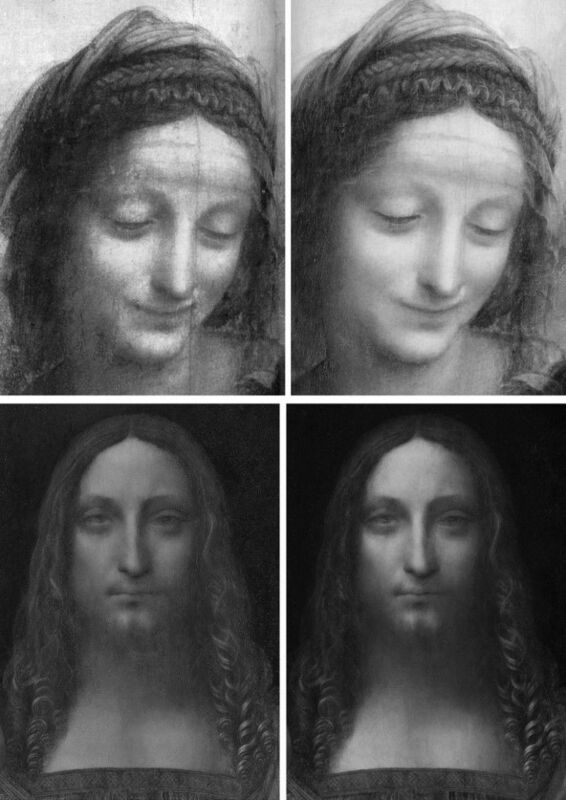 In the before and after comparison of the Salvator Mundi we see the superimposition of a more marketable state by repainting (officially, “retouching”) an earlier National Gallery endorsed appearance. 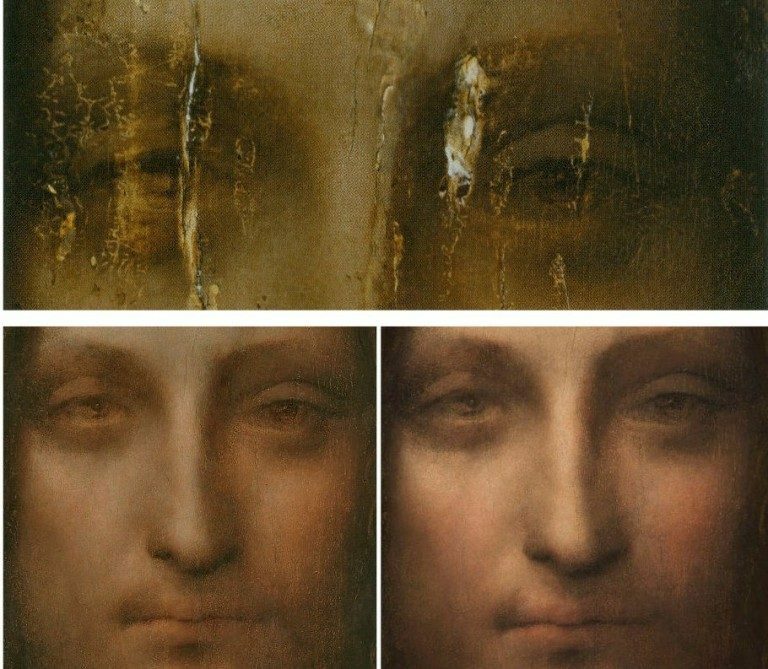 The extent of this pictorial transformation is only demonstrable because the long 2007-2017 restoration was temporarily halted to allow the painting to rub shoulders with Leonardo and others at the National Gallery in 2011-12. Above, Fig. 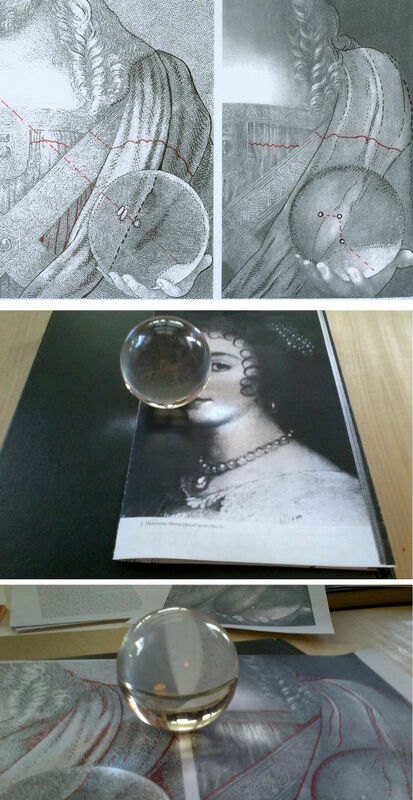 9: Left, the de Ganay Salvator Mundi; centre, the Wenceslaus Hollar etched copy; right, the Abu Dhabi Salvator Mundi. While both above paintings depart from the Hollar copy, they do so differently. Such variations speak against the Abu Dhabi painting being an original autograph prototype for all others. In one respect, Hollar comes close to recording a unique feature of the Abu Dhabi picture – the closely cropped composition around the hand holding the orb in the bottom right-hand corner of the composition – see Fig. 11. 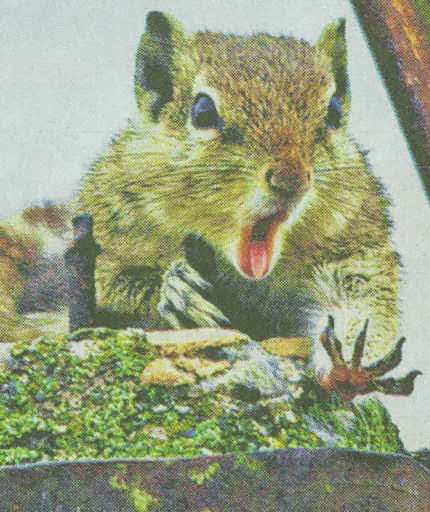 Against that local similarity, the Abu Dhabi picture departs from Hollar (and all other painted versions) with its aberrantly wide, chipmunk-like face. In every other version, Christ has a long narrow face that tapers downward from the widest point at about the level of the eyes. Uniquely, the Abu Dhabi face is widest at a level a little above the mouth. It also lacks the pronounced beard that was recorded by Hollar and is widely encountered among the variants. Such icongraphic deviations make it inconceivable that the Abu Dhabi picture was recorded by Hollar in 1650. Above, Fig. 10: Top, left, the 1650 Hollar etching; top, right the Louvre Abu Dhabi Salvator Mundi, as it was when exhibited at the National Gallery in 2011-12. 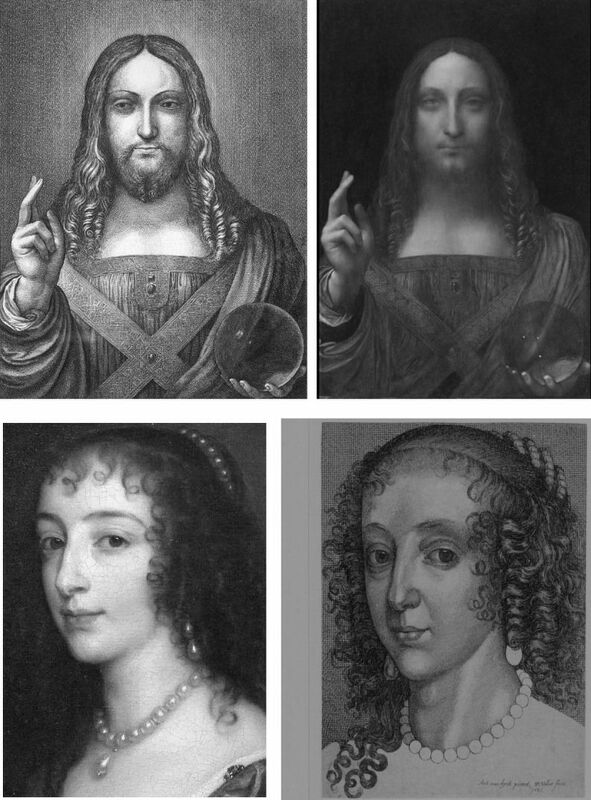 Above, left, a portrait of Henrietta Maria by van Dyck; above right, a copy by Hollar of a similar van Dyck portrait of Henrietta Maria. Above, Fig. 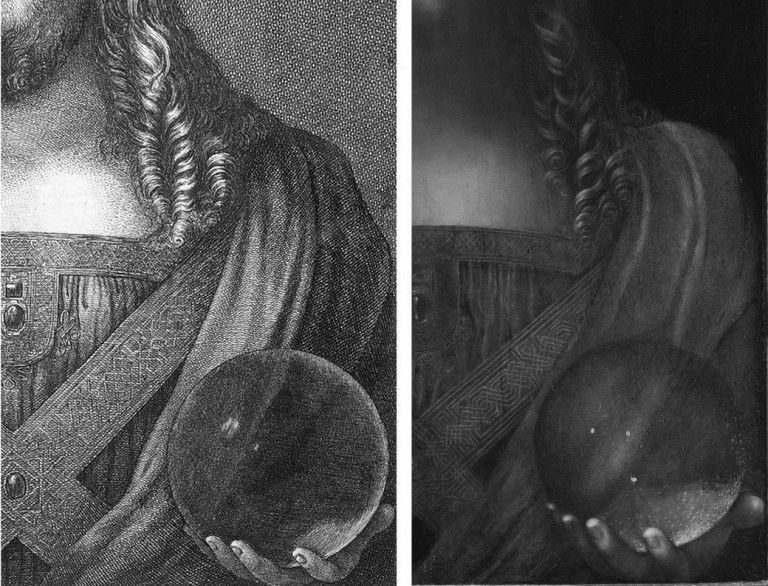 11: Left, a detail of Hollar’s 1650 etching; right, a detail of the Abu Dhabi Salvator Mundi as it was when offered for sale by Christie’s, New York, in November 2017. It strikes again how greatly more vivacious and lucid is the etched copy than the Abu Dhabi painting. 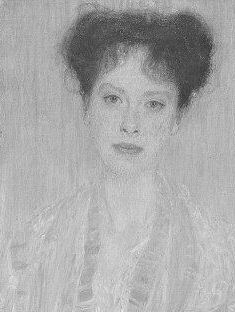 It might be objected that painters work on a larger scale and have greatly more pictorial weapons at their disposal than the tones of etchers who must say everything with monochromatic drawing and shading. But, as seen, Leonardo embraced such pictorial self-restraint as the most precious tool in the painter’s box. We mentioned the coincidence of design and composition in this section of the painting: the knuckles of the hand rest in both cases on the bottom of the composition and the protruding thumb seems equally constrained. Those coincidences notwithstanding, even in this section the differences are legion. In the painting the thumb is cropped at the picture’s edge – and not because the picture was trimmed. The panel had been set in its frame and only then prepared for painting, as a build-up of priming and paint along the edge testifies. Whoever painted this picture was careless with its design. 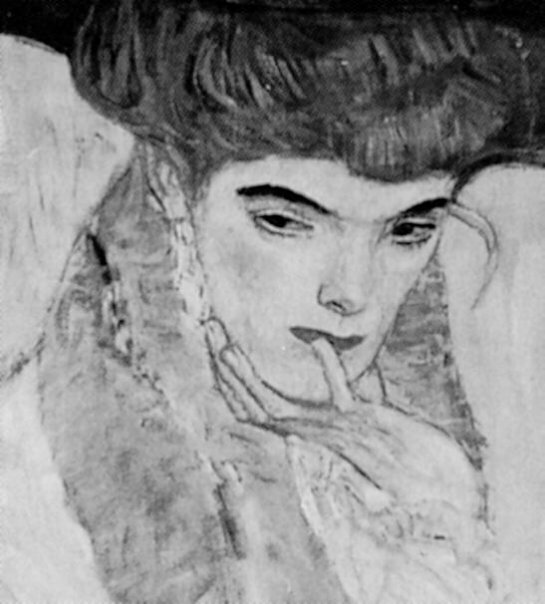 It is possible that the artist had transferred a cartoon onto a too-small painting and ran out of space along the right-hand edge. This Salvator Mundi figure is not just cropped above the waist as are a number of Leonardo figures, it is also severely cropped on both sides. Such a design would not be shocking in our age of photography but it was unprecedented in Leonardo’s own finished work. While there are similarities in this corner, they are confined to the design alone and not to the content within. Uniquely, in Abu Dhabi picture the visible palm of the globe-supporting hand is massive and anatomically indeterminate. Professor Kemp holds that this unclarity is a pentimento and, hence, a token of authenticity. But the hand was drawn differently in all other versions, including Hollar’s. Everywhere else it is optically compressed towards the circumference of the globe. Why would every school work have thus made Leonardo’s clumsily drawn effort more optically sophisticated? Why did everyone else “correct” the drawing of the thumb by placing it on a diagonal, not horizontal, axis? The prevalent top left down lighting caused three reflections in a diagonal row on the surface of the globe Hollar copied. The globe itself (necessarily one of glass on that scale, not of polished rock crystal, as Kemp insists) is radiant in Hollar: dark at its centre and with light accumulating around its circumference. 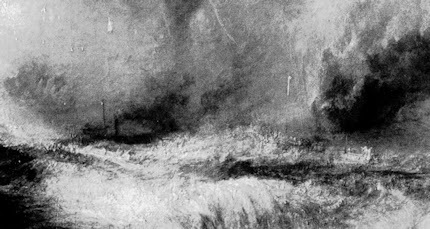 Kemp remarks that he has “been asked on more than one occasion why the drapery behind the sphere is so little affected by what is in effect a large magnifying lens.” He answers that Leonardo would not have concerned himself with such natural phenomena out of respect for “decorum – that is to say pictorial good manners”. It is a stylish answer but it ignores a point I had made when the National Gallery exhibition opened (“Leonardo viewed in a curious light”, letter, The Times, 12 November 2011). Namely, that in Hollar’s copy “the folds of the drapery on Christ’s left shoulder are shown to be bent when viewed through the glass sphere.” Kemp’s ex cathedra pronouncement collides with the artistic/material facts of a work of art. This is not a question of what Leonardo would or would not have done. It is a question of what Hollar did when copying a painting he believed to be a Leonardo. As previously published and shown below, in Hollar the sweeping curve of a fold on the shoulder drapery is seen to be deflected inside the globe – and a shift of direction in a drawn image cannot be gainsaid: if a convex fold of drapery becomes concave while seen through a glass orb, that is a graphic fact, not a possibly, a perhaps, a likely or maybe. If Hollar had been copying the Abu Dhabi painting, why would he have rendered a sophisticated optical phenomenon that was not present in the painting before him? Above, Fig. 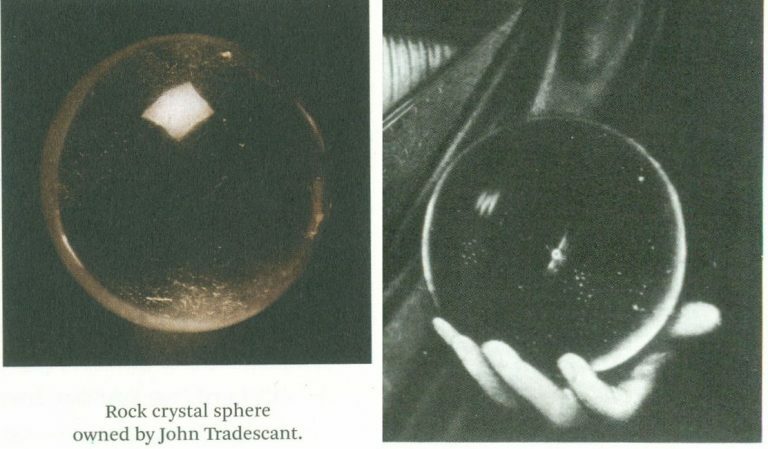 12: Left, an illustration of a rock crystal sphere in Martin Kemp’s book Living with Leonardo; right, the globe in the now lost Salvator Mundi that was formerly in the Worsey and Yarborough Collections, England. Above, Fig. 13: In the top row diagrams we see, left, how, in Hollar, the globe’s reflected lights are aligned with the directional lighting and not as found in the 2017 state of the Abu Dhabi picture on the right. We see on the left (black dotted line) how the sweeping curved fold of drapery is deflected when viewed through the globe. While Kemp says that the original properly placed highlight on the globe must have been abraded off, he offers no explanation for the three randomly placed, unaligned “reflections” that emerged during the cleaning. 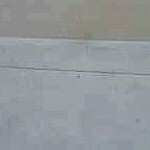 If they were not added during the past restoration they must have been painted out previously. As seen in the television screen-grab at Fig. 1, there was no trace left in place of any impastoed white reflections when the painting was presented for restoration in 2005. One correspondent (Dr. Stefaan Missinne) has suggested that the three present lights were a depiction of a cluster of stars seen in the Southern hemisphere that had been noted in Italy in 1503. 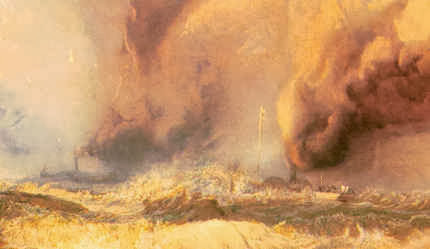 If these now miraculously recovered lights had been integral to the Abu Dhabi painting all along, they too would indicate that Hollar had made his 1650 copy from some other painting. Curiously, an alignment of lights like that seen in Hollar is present in the now lost Salvator Mundi that was formerly in the Worsey and Yarborough Collection in England (as seen above at Fig. 12). Our glass sphere shown above is also no more than two inches in diameter. 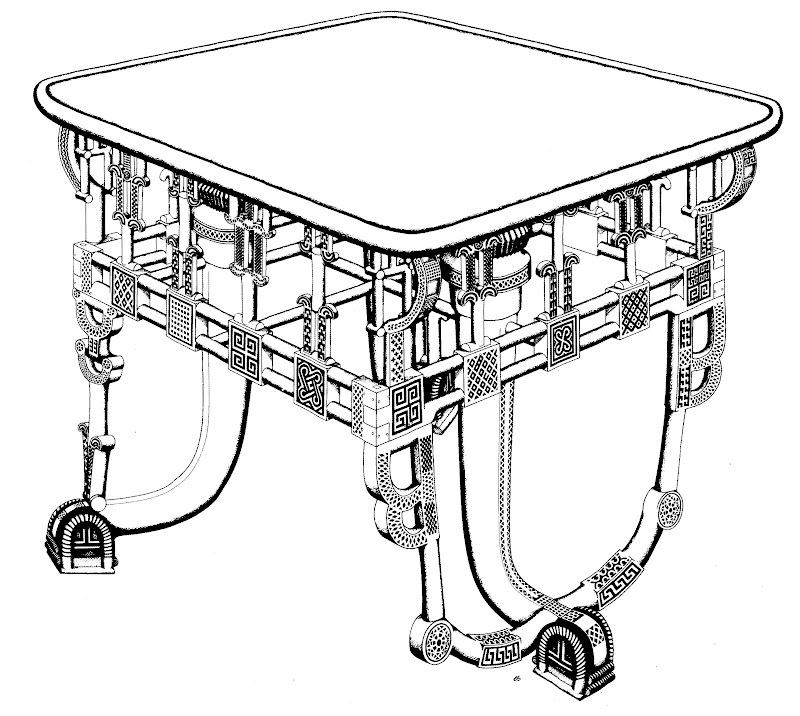 In the lower image above it rests on the photocopied sheet of diagrams that is shown here above, top. The white space between the two copied images on the sheet appears as two curving lines when viewed through the globe. We can see here how the differing degrees of refraction depend on the position within the globe. The curvature is least pronounced at the globe’s centre and increases as it approaches the circumference. The deflection on the drapery that was recorded in Hollar’s etching is consistent the distortions in evidence in the glass sphere above. Above, Fig. 14: Left and centre, The Young Christ by Marco d’Oggiono in the Galleria Borghese, Rome, as seen before and after restoration; right, Marco d’Oggiono’s The Young Christ in the Fundación Lázaro Galdianiano, Madrid. Mazzotta is somewhat back-handed in his support: while Marco’s “greyish skin tones” are similar to Boltraffio’s, the latter is more elegant and controlled. “The rather too prominent eyes are typical of Marco d’Oggiono: the sfumato modelling is applied like make-up, though the eyelids remain both flat and puffy. As a result, Marco loses control of Christ’s expression, which is at the same time melancholic and slightly gormless, an expression that strongly resembles that of the sitter for the Archinto Portrait…” The latter, a National Gallery painting in oil on walnut, was included in the 2011-12 exhibition as Marco d’Oggiono. Its literature began with Morelli in 1880 – “inadvertently by Amrogio de Predis” and at the same time “as by Bernardino dei Conti”, the latter ascription being re-affirmed by Morelli five years later…The literature ended with Syson in 2004 as “attributed to the Master of the Pala Sforzesca”. Within this moveable feast of attribution, Marco d’Oggiono’s Madrid and Rome “Young Christs” might yet be taken as a benchmark indication of the painterly skills found in Leonardo’s studio between c. 1490 and c. 1500. Both of these school works (or pseudo-school works) reflect Leonardo’s own long-standing aversion to frontal or profile figures. Leonardo was an arch repudiator of archaistic (and, in anticipation, 20th century Modernist) affirmations of the picture plane within a painting. The planar picture surface was no more than a necessary convenience for Leonardo’s compulsion to display bodies in relief and detached from the plane. That he must have been party to the plethora of archaistic Salvator Mundis is not disputed and many see his hand in parts of the Louvre Abu Dhabi painting. Had he gone so far as to have painted an entire fully-realised autograph departure from his very hard won accomplishments it would have constituted a pictorial reversal of noteworthy surprise. Not only has there been no whisper of such an upheaval, nothing survives of any contribution other than the two sheets of drawn studies shown below. Above, Fig. 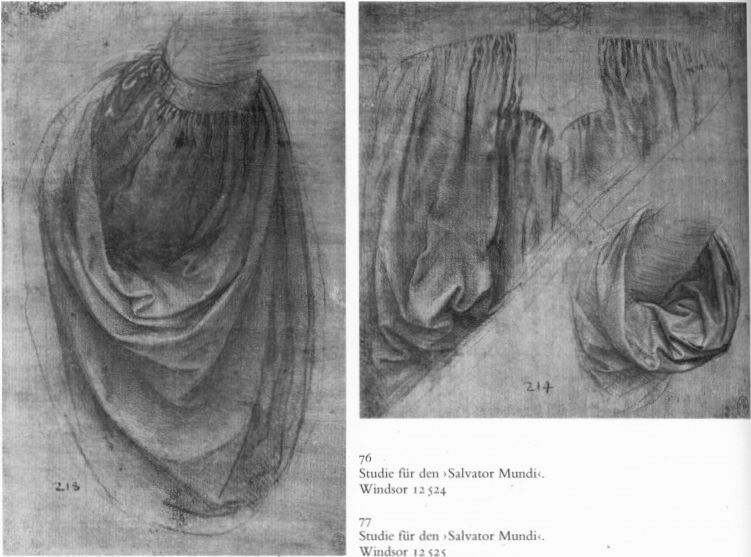 15: The two sheets of drapery studies attributed to Leonardo and taken as preparatory studies for the Leonardesque Salvator Mundis. The main study for the costume seems taken from a garment suspended on a hanger, not worn by a person. That flattening arrangement seems to have transported itself to the Abu Dhabi Salvator Mundi. In the Hollar copy the concertina folds form groups that swell and catch the light accordingly. It is striking that greater variation of lighting is present in the studio work shown at Fig. 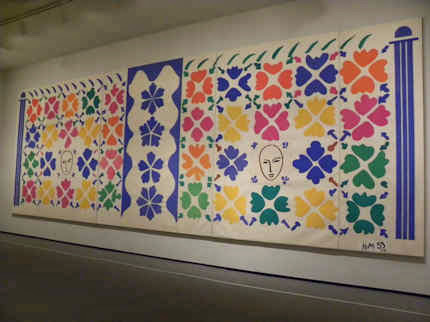 16, below, than in the now much-restored Louvre Abu Dhabi painting. Above, Fig. 16: Top, a detail of the c. 1490 Spanish “Young Christ” of Marco d’Oggiono; above, a comparable detail from the Abu Dhabi painting. “I wondered why Christ’s soft-focus features contrasted so strongly with the precise definition of his right hand. Was it simply a question of condition? It was true that the face was quite abraded; but even the best-preserved parts, such as his left eye, seemed blurred. Or was it was photographers call the depth of field problem? If a camera lens is physically or digitally focussed on a form at a certain depth in a scene, objects closer or further away will be out of sharp focus – increasingly so as they are more distant from the focussed zone. Kemp, presumably, is talking about the painting as when sold last year, not as it was when exhibited at the National Gallery in 2011. His “vari-focal” thesis addresses neither the evidence of Hollar’s copy nor the transformation by restoration the painting underwent from 2006 to 2017. On Kemp’s schema the tip of the nose would be in sharper focus than any other part of the face. In truth the most obtrusively sharp distinction encountered on this inconsistently rendered face remains the emphatic and anatomically ill-drawn crease above the true left eyelid at the brow. Where Kemp talks of the “softened” “otherness” of Christ’s gaze, he does not address the fact that the irises in Hollar eyes were not dreamily forward-looking but cast rightwards almost as if looking over his raised blessing fingers. There is no hint of an overhanging upper lip in Hollar, his lower lip protrudes. Throughout the etching, light falls even-handedly so as to illuminate by light and shade the three-dimensional forms of the figure. A full range of tones renders the blessing hand “emphatic” but it is no more so than the forms of the face. In fact there is a parity of graphic force between the hand, the face and the orb and the only retiring passage falls between, in the treatment of the costume. But even in that recorded quiet zone if we look at the Leonardesque concertina folds in the two comparative details above, who would say that the Louvre Abu Dhabi displays superior artistry? Above, Fig. 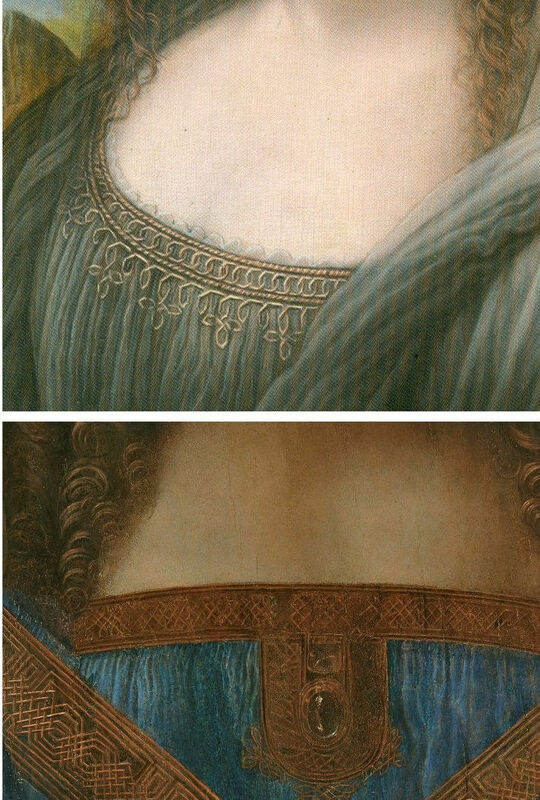 17: Top, a detail, of Leonardo’s La belle ferronnière of about 1493-1494; above, a detail of the Louvre Abu Dhabi Leonardo Salvator Mundi which is generally dated by its supporters as c. 1500. For Kemp it is taken as c. 1504-1507, having been painted between the Mona Lisa of c. 1503-1516 and the St. John the Baptist of 1513-1516. 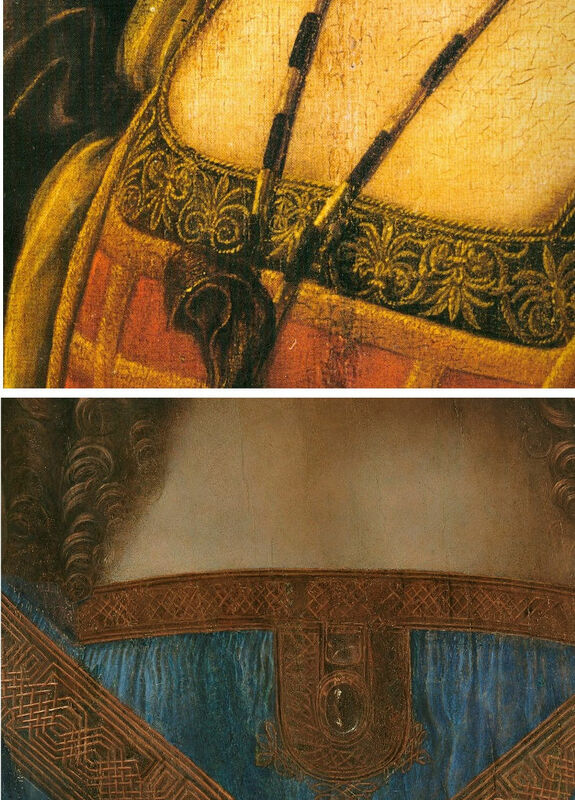 Viewing drapery seen in the earlier Leonardo La belle ferronnière, could anyone hold that the Salvator Mundi drapery above showed superior painting technique or a more vividly tangible body? Above, Fig. 18: Top, the Abu Dhabi Salvator Mundi detail; above, a detail of the Mona Lisa. Quality aside, what would explain the manifest differences of age in the two details? Why has the paint cracked so markedly in one work and retained such a youthful bloom in the other? Above, Fig. 19: A detail, top, of a copy of Leonardo’s (then-unfinished) Mona Lisa that has been attributed to his assistant Salai; above the detail of the Louvre Abu Dhabi Salvator Mundi. Although the flesh passages in the two works are comparably smooth, bland and unblemished, could anyone claim that the handling of the hair, the knot patterning and the drapery folds in the Salvator Mundi is superior to that seen in the copy above? More detailed examinations of parts of the Louvre Abu Dhabi Salvator Mundi painting will be carried in future posts. 27 February 2018 – Nouveau riche? Welcome to the Club! 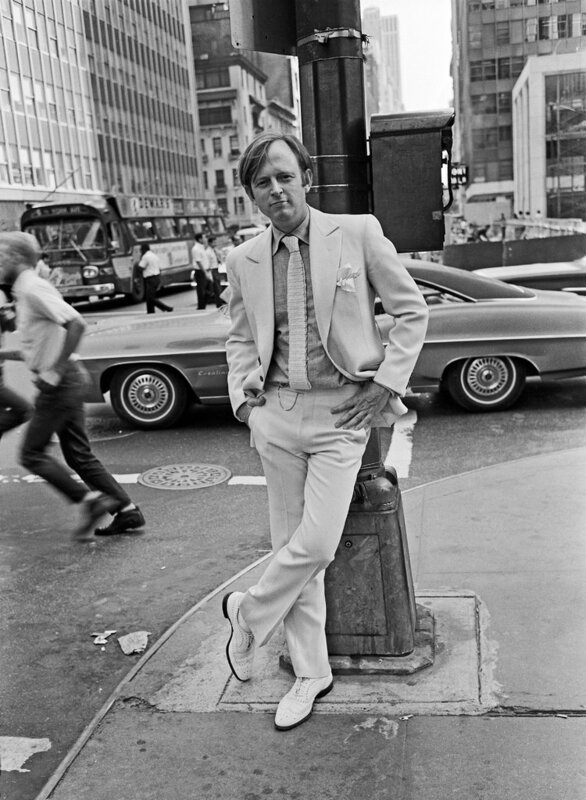 The journalist and writer Tom Wolfe died on 14 May aged 88. 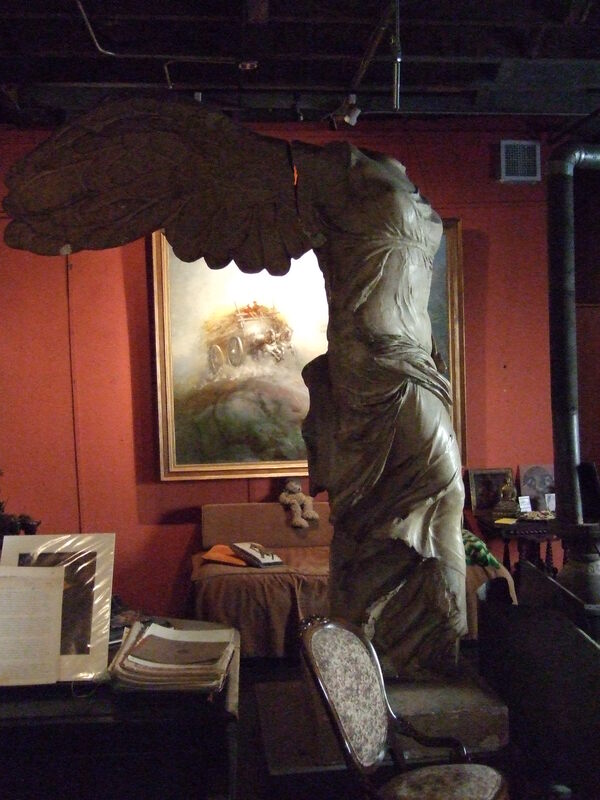 He is survived by his wife Sheila (Berger) Wolfe, a graphic designer and former art director of Harper’s Magazine, and their two children, Alexandra Wolfe, a reporter for The Wall Street Journal, and Tommy Wolfe, a sculptor and furniture designer. The New York Times reports Tom Wolfe’s least-forgiven and most-wounding foray. In 1970 he mocked what he termed New York’s “radical-chic”. This had been prompted by a fund-raising party given for the Black Panthers by Leonard Bernstein, the conductor of the New York Philharmonic, and his wife, the Chilean actress Felicia Montealegre, in their 13-room Park Avenue penthouse. The guests were the Bernstein’s rich liberal and mostly famous friends. How very remarkably on-target that attack was – and how infectiously well and fast that chic travelled. At that period, across the pond in London, well-meaning pre-eminent thespians like Vanessa Redgrave rattled the revolutionists’ tin under the noses of artists like R. B. Kitaj. As the designer of UK New Left publications – first The Black Dwarf and then Idiot International – we, along with Jean Genet and a Parisian Leftist called Castro, attended a dinner given in the marble-floored, art-rich (Mondrians, Bellmers…) Paris apartment of the novelist, polemicist and publisher of L’Idiot International, Jean-Edern Hallier and his Italian heiress wife, Anna. The guests of honour were a group of visiting Black Panthers, lead by (the beautiful) Connie Matthews, who would later be killed in a police shoot-out in the United States. The books in the Halliers apartment had been rebound in white leather, with gold-tooled lettering and they were displayed on shelves made of polished black lignum vitae, the hardest, densest wood that makes the best truncheons, the most wind-resistant cricket balls and that is used as bearings for ships propeller shafts. This apartment, with its live-in servants was not, however, where “the real” Jean-Edern Hallier lived. He once told me that his true self was to be found in a small, occasionally used bed-sit furnished only with a single bed and a Che poster. “I’m not sure how many people here have seen Tom Stoppard’s wonderful play, Artist Descending the Staircase. Well, in that play one of the characters turns to the audience and says, ‘Imagination plus lack of skill, gives us no-hands art.’ Andy Warhol showing photographs of commercial products to his elves, and ping-pong shots from amusement arcades of famous people. 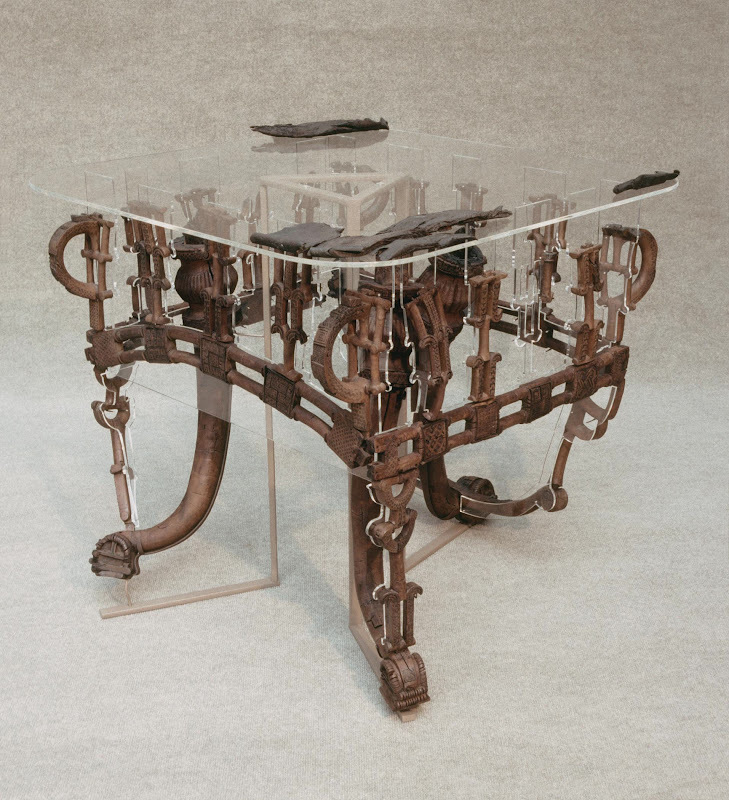 Or, Jeff Koons, who sends photographs of himself slogging at it with an Italian prostitute of some fame, and sends these photographs off to elves in Switzerland who then convert the photographs into three-dimensional ceramic objects. Or, Richard Serra, who orders ten-foot high raw core tin steel walls from the foundry and has unionized elves to transport them to open spaces and prop them up. Or, Richard Prince, a self-elf who takes photographs of photographs and sells them for stunning sums to culturally anxious hedge fund managers. “Now I have to confess that those examples were supplied by me. But, what Tom Stoppard has his character actually say is, ‘Imagination plus lack of skill, gives us modern art.’ So there has to be a corollary to that, and I think the corollary would be: imagination plus real skill gives us Michelangelo, Bernini, Tissot and Titian. And, Frank was known in his youth as the rebirth of Titian, the comparison was made consummate of Frank Mason and Titian. And both Titian and Tissot loved the deepest perspective a painting could possibly effect and one of my favorite Frank Mason paintings is of – I think it might be the Italian restaurant below his apartment on Broome Street – and it is of a group of people, many, many people, and no person in the background is neglected at all. Every head that appears in a Frank Mason painting is developed and is an individual who is distinct from every other. But, what particularly surprised me was that in the vast, vast deep Titianesque, Tissot-like perspective of that painting is the carving on wood work at the very back of the room. These are details that the naked eye can probably not see beyond six feet. In this painting they are about sixty feet away. What he did with them was absolutely marvelous, I can’t think of another painter who could do it better, perhaps not even Tissot or Titian. “All of this to me was, this excitement, this was New York. So, when I arrived all I saw was men in stingy rim hats with the rims about this wide, crowns right down on top of their heads. 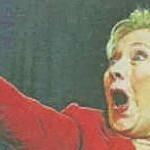 And they had their chins hooked in their collarbones, scuffling down the street and they were muttering, ‘Aw Hell’. That’s what was actually here. But then, well incidentally at least they had hats. “125-30 years ago, men – in the English-speaking world anyway – wore tall stiff hats known as toppers. That began to change, by 1900 they began to shrink a bit and get dents down the middle or in the sides. By the time I came to New York it was the stingy brim hats. But, at least they had them. Back in the 19th century women had these little pieces of cloth with lace around them called kerchiefs. Today, the men wear the kerchiefs – they’re known as baseball caps – while the women have all the testosterone. Look at the great party hats you see everywhere in fashion today. But I did find a flip side. People here, Clay Felker, who was my editor at New York magazine, Roger Straus – an indomitable publisher – and I finally began to realize that every age is the same, every age has had the mass equivalent of the guy shuffling along the sidewalk in the stingy brim hat. What has made New York exciting, what has given it the reputation of excitement, what makes it exciting today is really a relative handful of people who are motors. They’re motors in a ship that goes hurtling at an unbelievable speed, making reckless turns and we’re all invited to jump on board for the ride. And that’s what living in New York means, either they enjoy the ride or they just get out. And Frank Mason was one of those motors, extraordinary. “But, I happened to have the privilege of seeing Frank work – I saw him giving instruction at the Art Students League. I can’t describe it quite as well as John [Varriano] did or as Peace [Sullivan] did, but I saw it and I saw this congestion of not only human beings, but easels – when you see easel fights and they go ‘- there’s room!’ Everyone trying to get into that room and to get into a position to see the model, which was in deep perspective way over there. It’s an astonishing spectacle. “I also had the privilege of participating in some of those Tuesday night sessions on Broome Street. You know Frank and Anne moved to Broome Street I think 20 years before you had all these, ‘You have to live down there, you have to live below Houston Street or you weren’t real.’ These sessions were held in that great studio and apartment. And Frank was very indulgent with me because the only thing I cared about was getting the hands right. 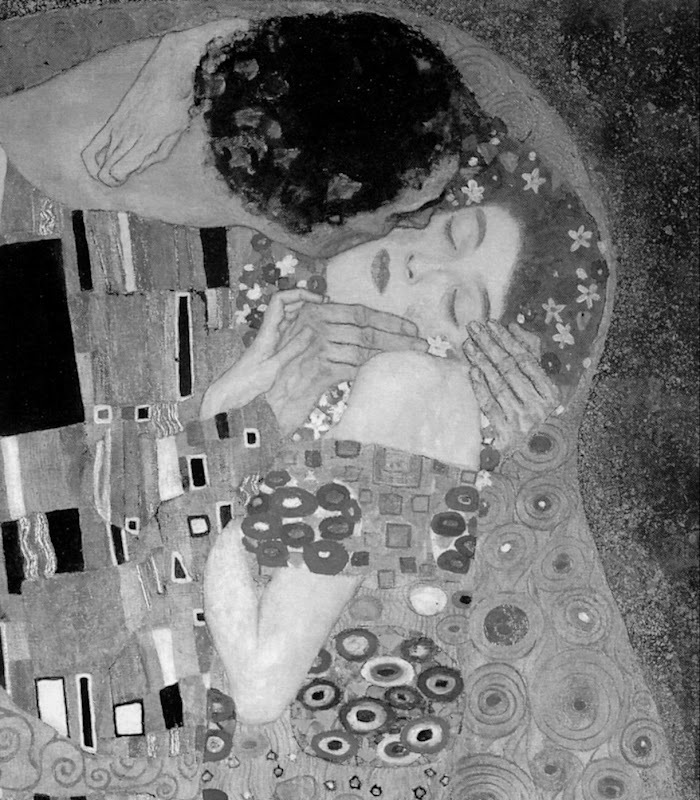 To this day that’s the first thing I look at in a painting – the hands, all the rest is not as – is secondary. Frank could do, absolutely, hands that you wanted to shake and you want to look up into those eyes. This sort of spirit is so rare, so precious – and everyone [speaking] today has described it accurately – the booming voice, the laughter. I never saw Frank in anything but a mood of enthusiasm and love of life. So, I made a rather rash prediction in 1976 that by the year 2020 what Frank Mason prophesized would have come true. “Frank at one point said that modernism is dying a slow death. Not far away from that we will climb the mountain once again, because you cannot kill genius. And, today it’s almost 2010. I don’t see the art world, as we call the little village that controls prestige, I don’t see it calming down very much. I think it’s really more frantic than ever – ‘No-Hands’ Art sweeps the art village. Today, there are only two years left for that predicted expiration of modernism and, on the face of it, all the signs are that means have been found to buoy its markets indefinitely. But, then, there are jitters that might yet prove portents: culturally anxious chump oligarchs now queue in such numbers to buy Koons’ balloons on the never-never that even that artist’s legion of elves cannot keep pace with the orders. 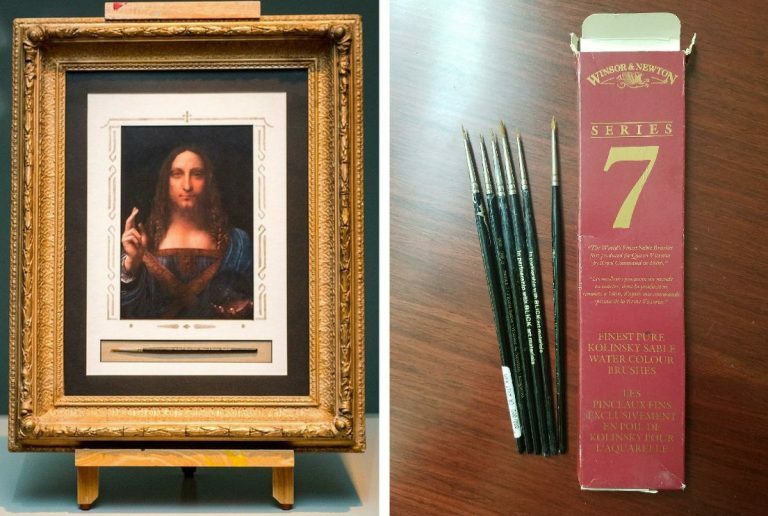 A restorer who part-painted a half-billion dollars Salvator Mundi recently donated the brushes she had used to Columbia Museum of Art to help the museum’s mission to celebrate outstanding artistic creativity. Roll up! Roll-up! “Own a piece of art history!” the museum urged, “These seven paint brushes were used to restore Leonardo’s Salvator Mundi, which set a new record for the price of a work of art when it sold for $450 million in 2017.” The brushes found no taker – no one met the Ebay reserve of $1,000. At Columbia university, as Artnet reports, disgruntled students in the visual arts MFA program are demanding a refund for the current school year’s ($63,961) tuition fees, in part because the buildings are disintegrating; in part because too many tenured professors have gone on sabbaticals at the same time; in part because the students have not been able to work with—or even meet—some of the notable artists whose reputations drew them to the school in the first place. (See “Columbia University MFAs Share Stories of Dysfunctional Studios and Overworked Faculty”.) In the UK, a superannuated Lecturer in Fine Art at the University of Lincoln dismissed the teaching of life drawing as “a deeply conservative and reactionary position” in the November/December 2017 Jackdaw magazine. A “Curator of Interpretation” at the Tate has explained that anything dragged into a gallery can be considered to be fine art providing only that the dragger-in is an art school-accredited person. Anything can be art except art. Such cultural lunacy must end sometime. Above, the brushes that helped paint the $450m Salvator Mundi, as presented and offered for sale on Ebay. 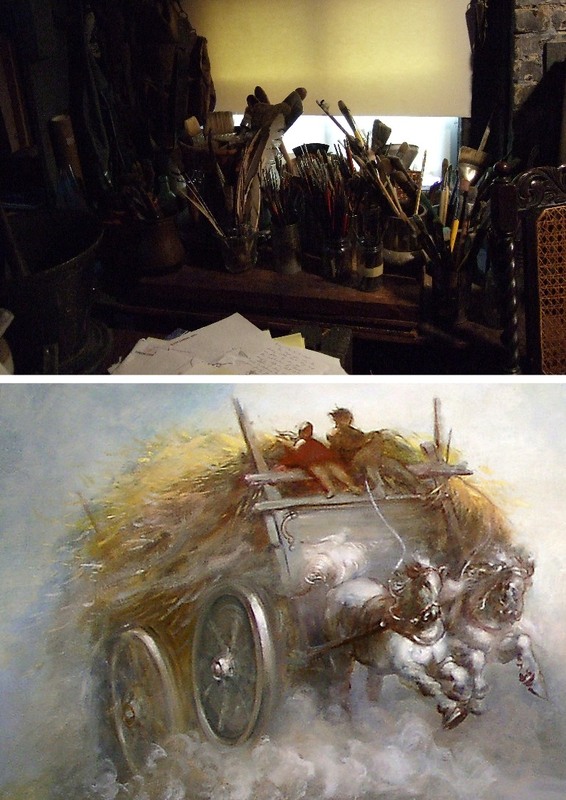 Below, a corner of Frank Mason’s Broome Street studio and a detail of his hurtling life-celebrating painting “Before the Storm, Nova Scotia”. 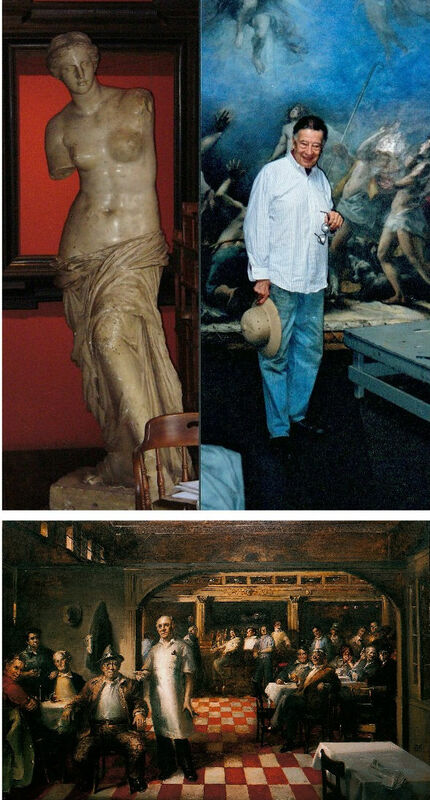 Above: Frank Mason in his studio; some of the plaster casts he had saved from destruction in a New York art school; and, his “Little Italy” mural, to which Tom Wolfe referred. Our thanks to Anne, and Frank and Tom Wolfe. On 30 November 2015, Professor Elizabeth Simpson of the Bard Graduate Center, New York, will deliver the sixth annual ArtWatch International James Beck Memorial Lecture in London ~ “KING MIDAS’S FURNITURE: A TALE OF ARCHAEOLOGICAL CONSERVATION”. The 2015 winner of the Frank Mason Prize will be announced. In “KING MIDAS’S FURNITURE: A TALE OF ARCHAEOLOGICAL CONSERVATION”, Prof. Simpson discusses the remarkable but problematic excavation of the huge “Midas Mound” (Tumulus MM) at Gordion, Turkey, by the University of Pennsylvania Museum of Archaeology and Anthropology in 1957. 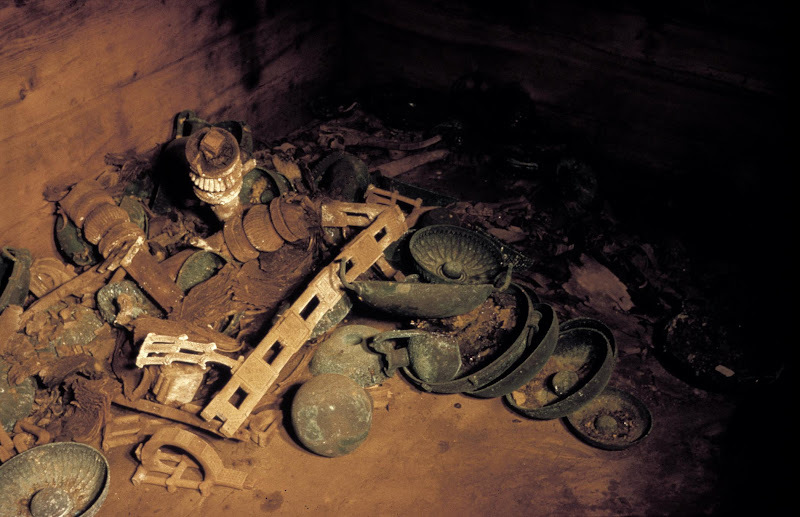 The Phrygian royal tumulus burial contained a wealth of grave goods, including a rare collection of carved and inlaid wooden furniture dating to the 8th century B.C. The lecture details the excavation and initial conservation of the wood, along with subsequent efforts to rescue and reconstruct these spectacular pieces by the Gordion Furniture Project’s team of conservators, archaeologists, and scientists. Issues of display and storage continue up to the present, with the recent renovation of the Museum of Anatolian Civilizations, Ankara, where the wooden furniture is kept. The Gordion wooden objects comprise a large collection of furniture and other finds from Tumulus MM, Tumulus P, Tumulus W, and the city mound at Gordion. An introduction to the project can be found at https://en.wikipedia.org/wiki/Gordion_Furniture_and_Wooden_Artifacts. Above, an inlaid table, Tumulus MM, Gordion, at the time of excavation in 1957 (top); in drawn reconstruction by Elizabeth Simpson (centre); in full restoration (above). The lecture will be given at the Society of Antiquaries of London, Burlington House, Piccadilly, London, W1J 0BE – all inquiries to: artwatch.uk@gmail.com – at 6 p.m. for 6.15 on Monday, 30 November 2015. For full details and programme of the ArtWatch UK/Center for Art Law/LSE Law December 1st conference “Art, Law and Crises of Connoisseurship”, click here. To buy conference tickets, click here. We have seen that works of art are under physical threat and that proper contemplation of them is becoming impossible through commercial exploitation and lax administration. (We will return shortly to the especially alarming case of the British Museum.) Aside from institutional mismanagement, all the while the stock of art is being debilitated in the name of its conservation. It goes without saying that it is easier to destroy art than to create it. Gothic churches can be razed in an afternoon (and without explosives). With restoration injuries it is easy to recognise them but impossible to reverse them. Restoration is a one-way street: every little hurts; the harm that restorers can do individually and do do cumulatively can never be undone. It was long ago contended that every picture restoration is a partial destruction, but every restoration is also a falsification. When destructive subtractions of material are completed, the restorer’s own painted additions begin. Restorers do not make the soundest judges of their own performance. Their accounts claim lots of different things simultaneously. First, that their additions (somehow) help to recover lost original conditions. Second, that their additions/ “recoveries” are made with removable synthetic materials so that the next restorer can easily impose his or her own interpretation of the lost original state. Worse, not only is there an expectation that each generation of restorers will have a different estimation of lost original states, within generations one restorer will have a different understanding from another. At the National Gallery (London) relativity has been written into the institution’s “philosophy” of restoration practice. It does not matter, the gallery claims, if restorers do their own things when attempting to recover authentic original states, so long as each version is realised “safely”. The proof of picture restoration’s pudding is not in self-protective philosophising or proclaimed professional “ethics”. It is in the looking – pictures are made by hand, brain and eye to be looked at, not to be bombarded by solvents, swabs, scalpels, heat-inducing imaging techniques, hot irons, adhesives, synthetic materials and such. In this regard, every day brings a new alarm. 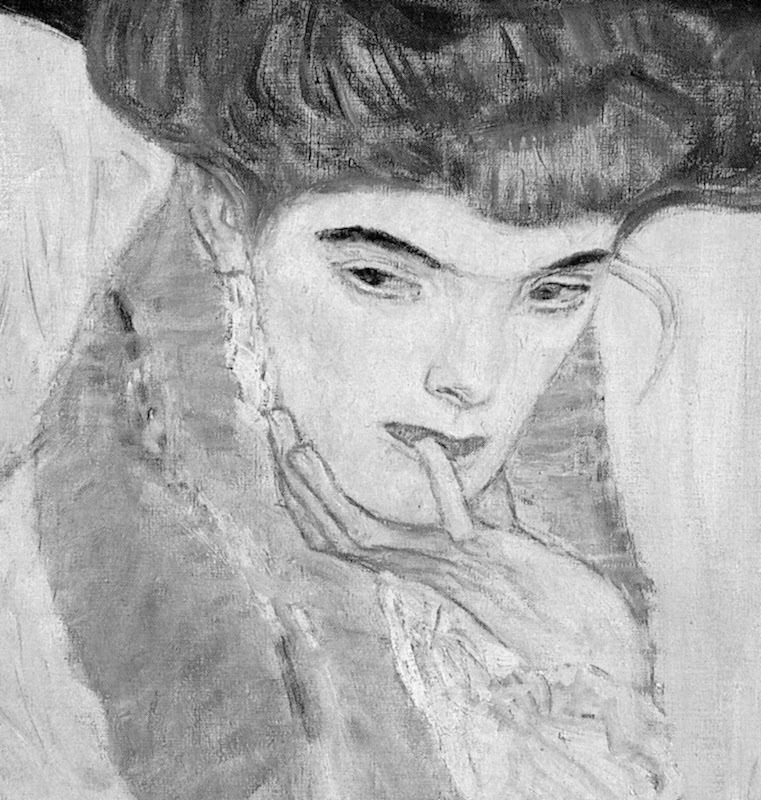 Yesterday, the Daily Telegraph and many other media outlets reported that a painting made in 1902 of a young Jewish woman (Gertrud Loew) by Gustav Klimt has been “restored” to her family. Such cases are heartening and just, but so often the accompanying photographs of returned works are, as here, disturbingly unlike early photographic records. The image shown above of this returned painting is from a printed paper copy of the Daily Telegraph. 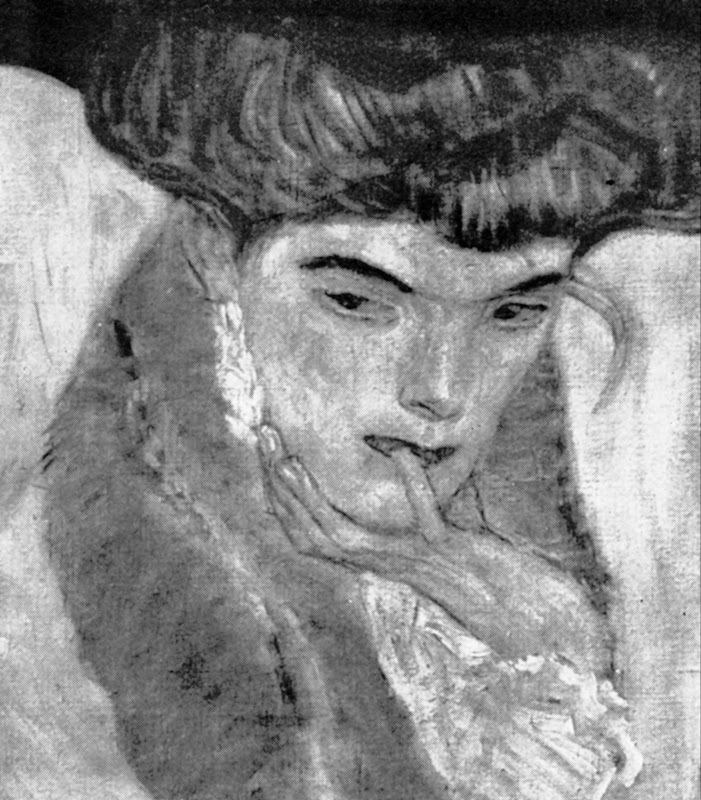 Newsprint photography is never of the highest quality but, with all allowances made, the strikingly washed-out appearance of the painting is evident also in the higher quality online reproductions, as below where all images are shown in greyscale to facilitate fair visual comparisons. What can be seen in all of these comparisons is a progressive and debilitating loss of values in the painting’s design, drawing, modelling and spatial ‘envelope’. Such sequences invariably run chronologically from darker, richer, sharper and better-modelled depictions, to lighter, brighter, flatter, more abstract, less plastic, less life-like arrangements. If dirt alone had been removed, the opposite effect would be obtained: all values would be more intense; all relationships would be more vivacious in their effects. 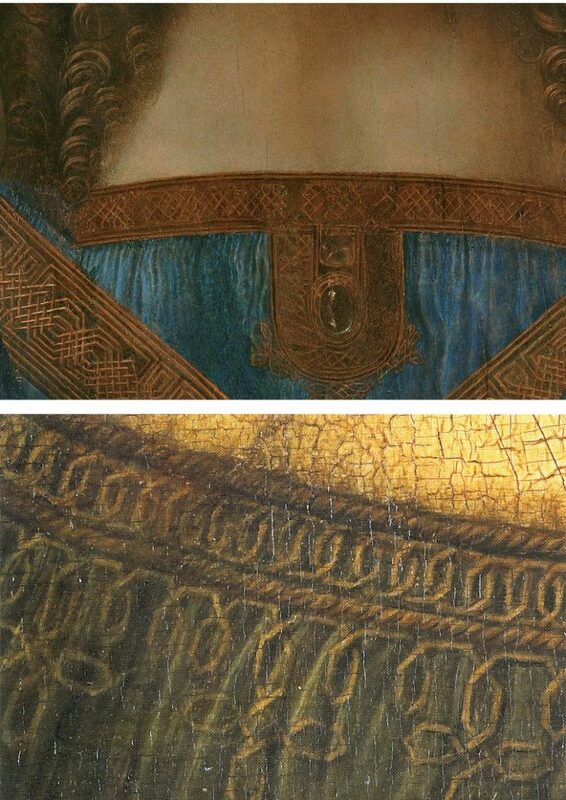 Above, these details show the painting as successively recorded a) before 1956 (top), when it was at most 54 years old and probably never previously restored; b) as before 1986 (centre); and, above c) as it is today (albeit, here, in an over-enlarged detail). 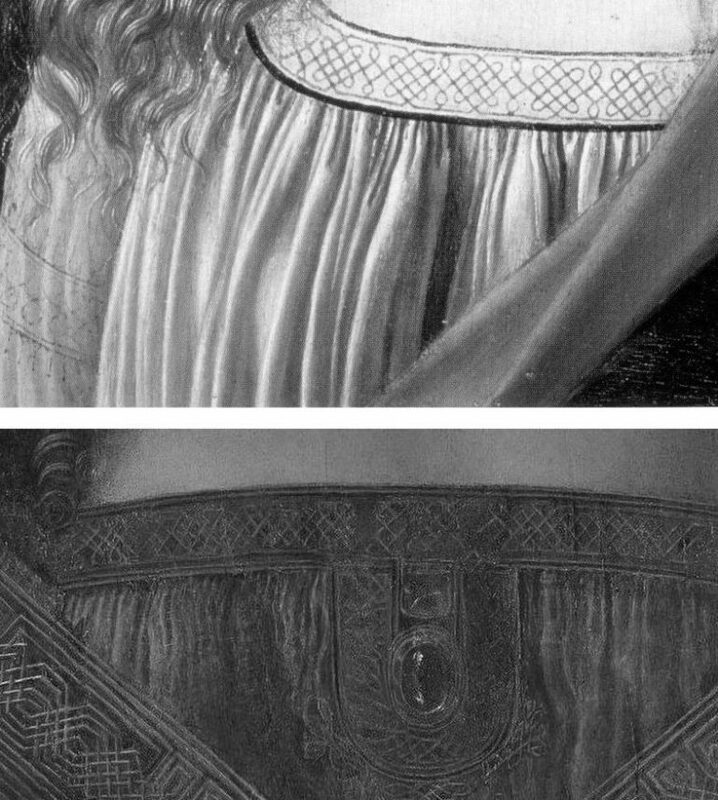 Above, top, a detail of the painting as before 1956; above, the detail as seen today. In this comparison we see, for example, that the contour of the subject’s left arm was more clearly drawn and shaded before 1956; that the shaded modelling around the eyes was more emphatic before 1956 than it is today; that the costume had two distinct parts – a darker over-garment and a lighter undergarment; and, that the tone of the flesh at the neck and above the undergarment was appreciably darker before 1956. 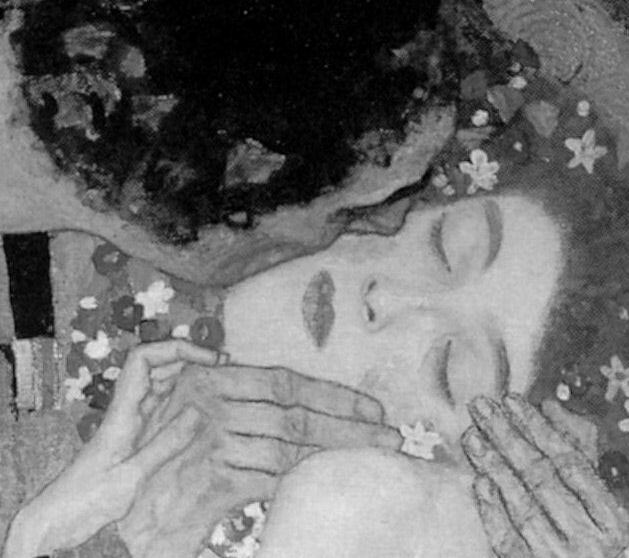 Above, a detail of Klimt’s 1910 picture The Black Feathered Hat shown (top) before 1956; as seen on a Dover postcard (centre); and (above), as seen today. 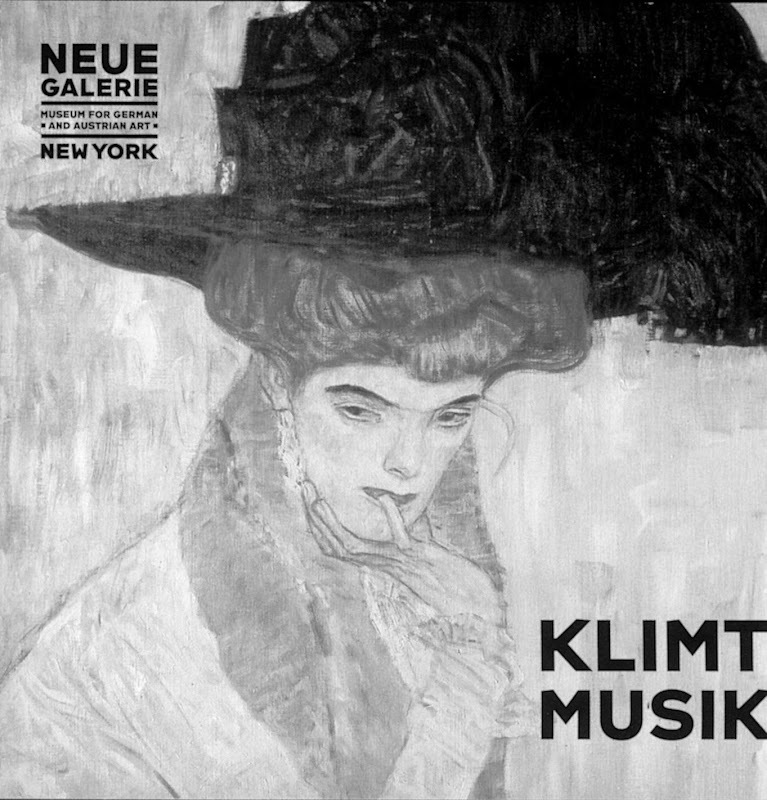 The Black Feathered Hat, as used on a CD cover of music accompanying an exhibition at the Neue Galerie, New York. 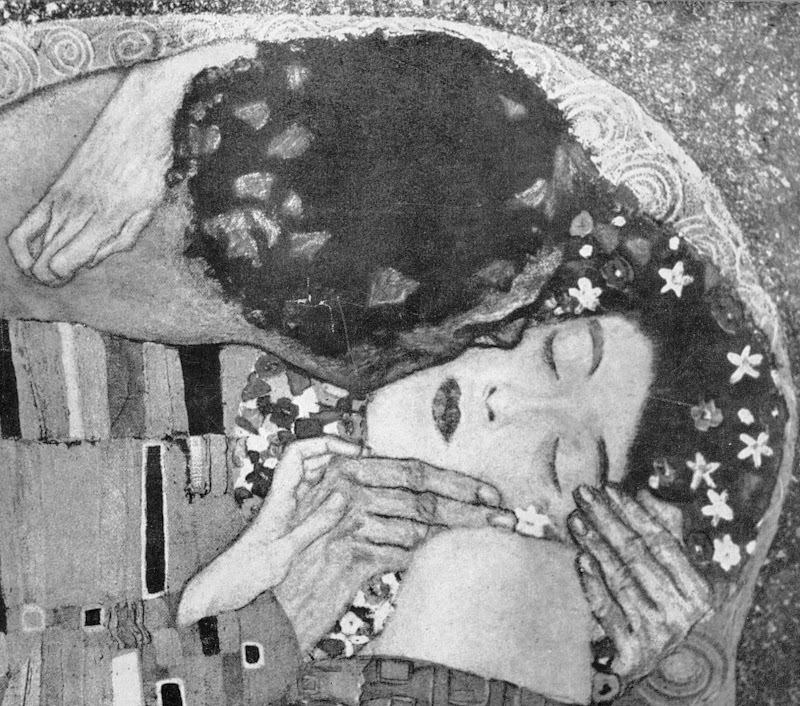 Below, a detail of Klimt’s Danae of 1907-08. Above (top) Danae before 1956 and (above), as seen today. 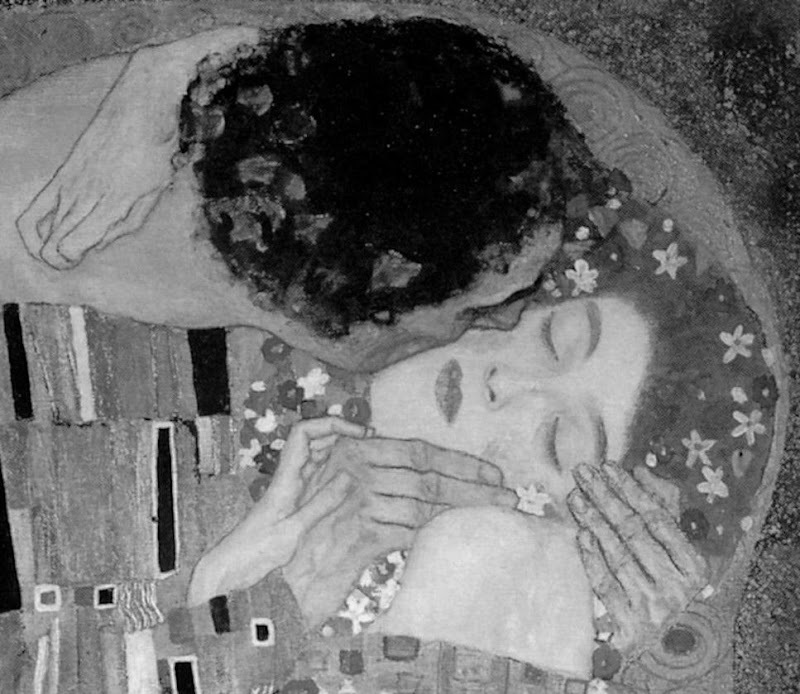 Note in particular the radically altered (and weakened) relationships at the crucially intense and psychologically-charged face/sheet/hand/breast configuration. 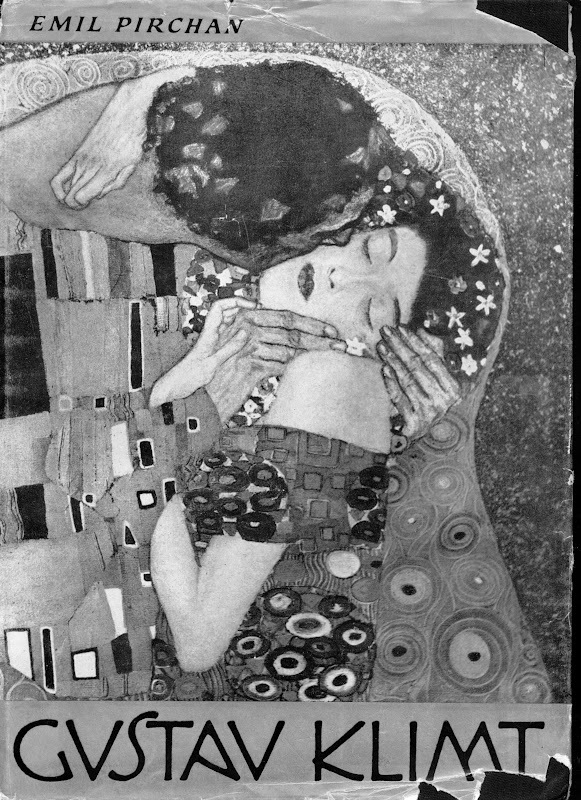 Below, the figure Poetry from Klimt’s 1901-02 Beethoven Freeze, before 1956 (top) and today (bottom). Michael Daley, 5 June 2015. On 25 October, at New York’s famous art school, The Art Students League, we were privileged to watch a kind of master class given by the painter Thomas Torak, who for thirty or so minutes, worked over a student’s oil painting of a model – a heretical procedure in many educationalists’ eyes. Using the student’s own palette, paints and brushes, he explained the artistic purpose of every change and adjustment as he went along. 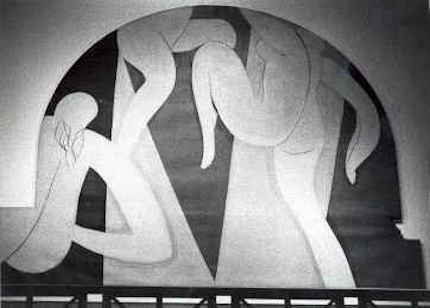 Starting at the passage depicting the model’s forehead, Torak suggested that the tones were too uniform. Lightening the student’s own flesh tint on the palette, he placed a firm highlight against the darkest tone on the shaded side of the head. Instantly – at a proverbial stroke – the form of the brow sprang forward from the canvas and turned convincingly in (evoked) space. With a stronger forehead, Torak moved down to the eyes in their sockets, darkening the shadowed hollows and placing strategic lights on the lids and the bulging eyes themselves. And so on and so forth down the head and into the body. Every adjustment was made on the authority of values seen to be present on the model herself, at that time and in that light. 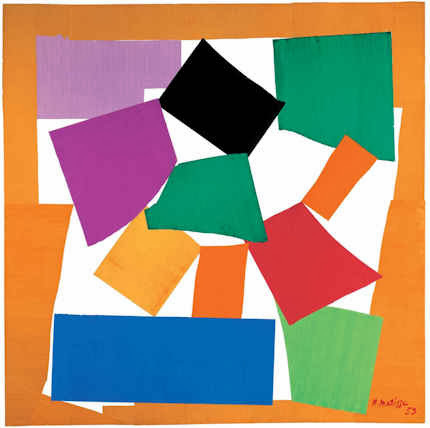 Seemingly, nothing was being invented: piece by piece, step by step, observable relationships between adjoining values were first carefully appraised and then artfully replicated in hue and tone on the palette, before being judiciously laid onto the painting. However, as facet related to facet and form to form, the mosaic whole began to assume a compelling and designed narrative form from a brush that drew and revised as it coloured. Finally, Torak introduced consideration of the model’s entire body and clothing to the values of the background wall within the then-present natural top-down light. Here, again, the student had made too-equal an appraisal of the relative figure/ground values: the background was markedly too dark and too warm. Lightening and cooling its tone and hue caused the untouched figure to jump forward on the canvas in a startling “before-the-eyes” pictorial magic. 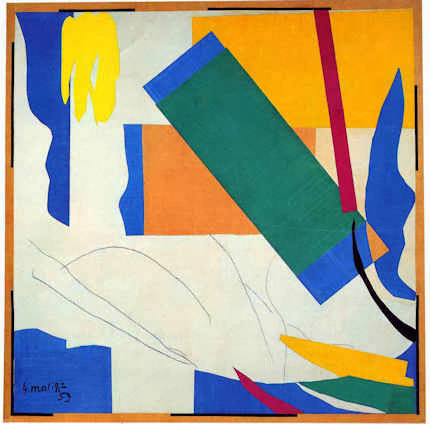 Watching the demonstration and the entire group of students, it was apparent that without seeing Torak’s painting but simply by heeding his words of analysis and explanation, other painters in the studio were modifying their own work on similar rationales and to considerable benefits. As a mild-mannered, softly-spoken man, Thomas Torak may be one of the art world’s most insufficently appreciated figures. Fortunately, the deftness of his speech and the acuity of his eye find other outlets at the Art Students League. Writing in that art school’s magazine LINEA (- and how very fortunate New York is that such an institution should have survived waves of modernist iconoclasm), Torak quietly, gently shredded a recent noisy attributional upgrade, rashly made on the back of a pictorially disruptive restoration at the now curatorially hyper-ventilating Metropolitan Museum of Art: see “The Rediscovered Velázquez” of 25 December last year. Above, top, and below right, Figs. 1 and 4, Hillary Clinton, detail of a photograph by Yuri Gripas/Reuters, as shown in The Times 26 October. Above, and below left, Figs. 2 and 3, a picture by Ajeet Vikram (detail) as published in The Times, 26 October. Above, Fig. 5, a squirrel seen in Union Square on the morning of 27 October when en route to New York’s (magnificent) Strand bookshop, home, since 1927, to 18 miles of shelves of new, used and rare books. Above, Fig. 6, an artist (“Han”) working on a triple portrait from a mobile phone photograph at the junction of Times Square and West 48th Street at 11pm on 27 October. Below, Fig. 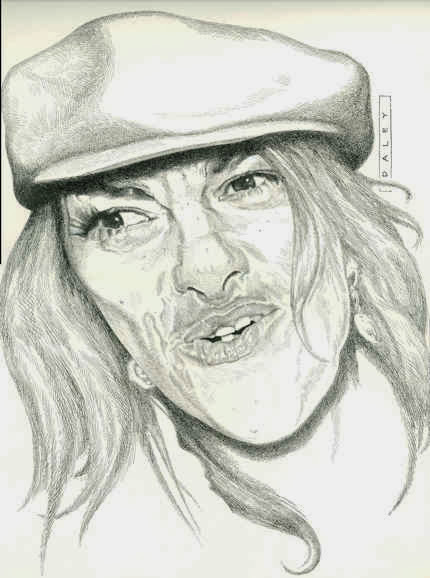 8, the Royal Academy’s present Professor of Drawing, Tracey Emin CBE, RA (as drawn by the author for The Independent on Sunday). NOTICE: On Thursday 31 October, the former Keeper of the Royal Academy Schools, Leonard McComb, RA, spoke at the Royal Watercolour Society on making large watercolour drawings.